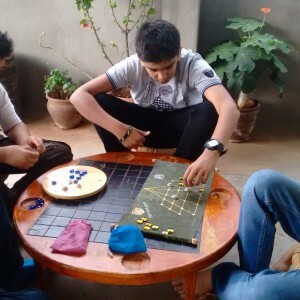 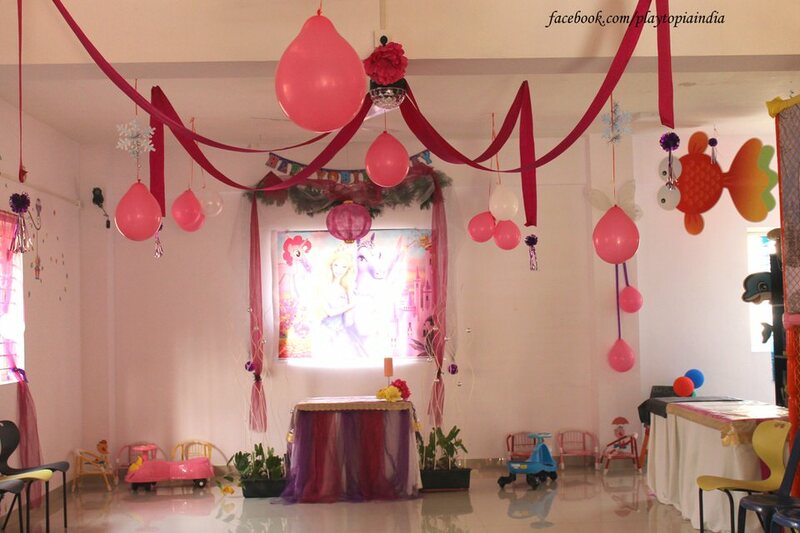 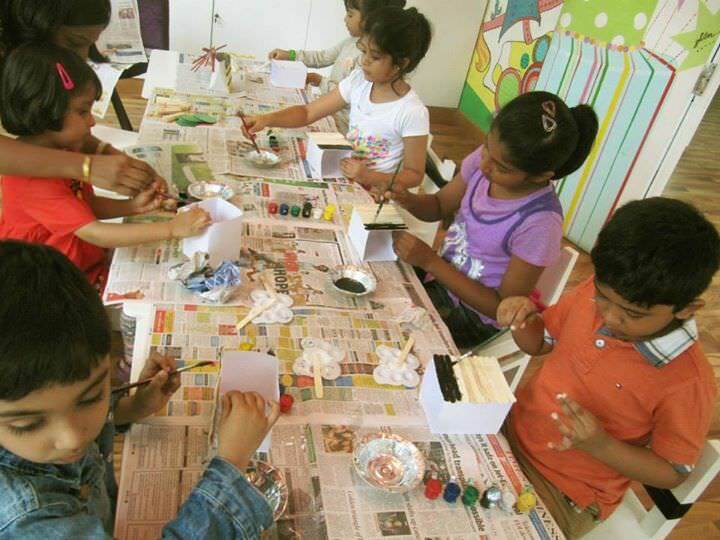 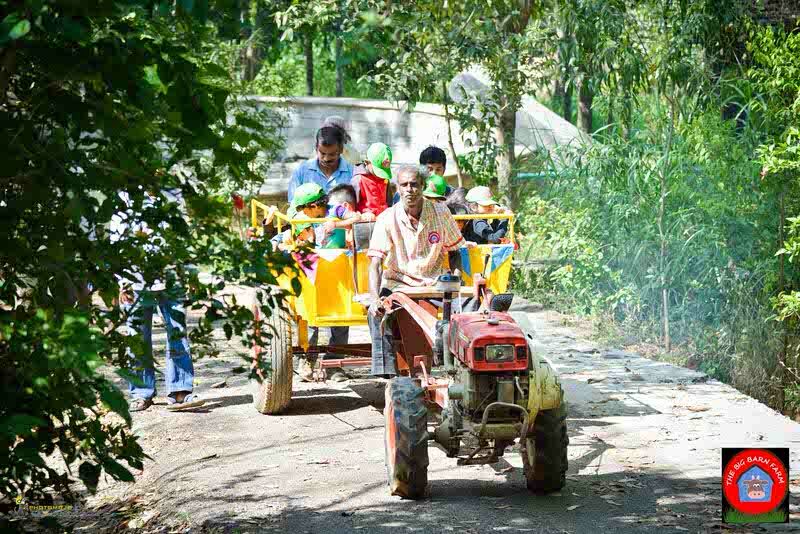 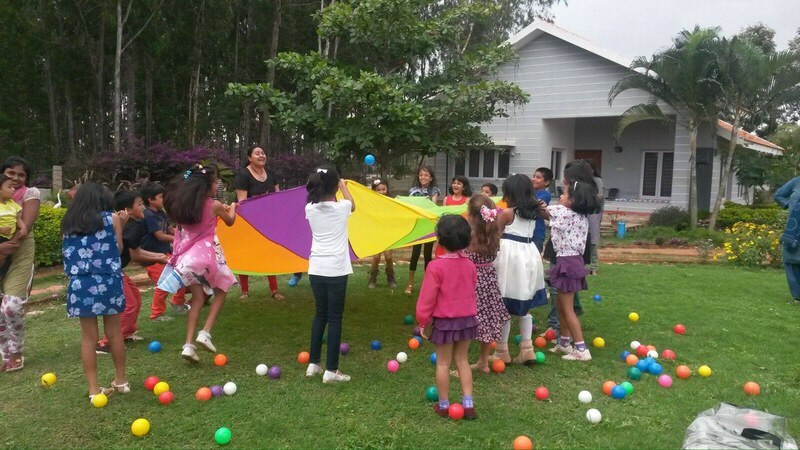 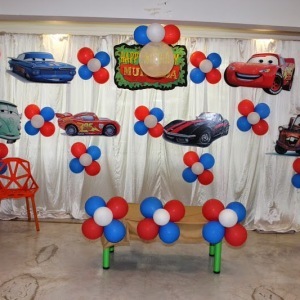 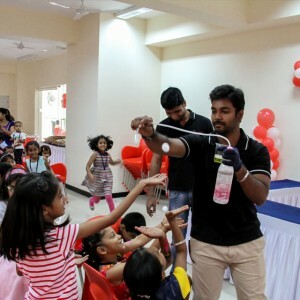 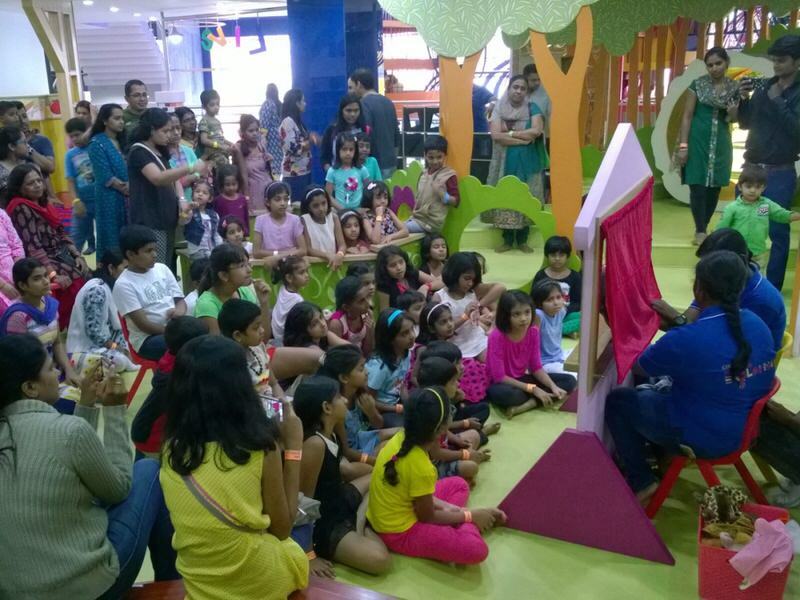 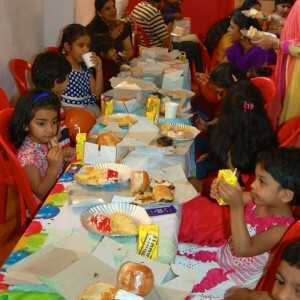 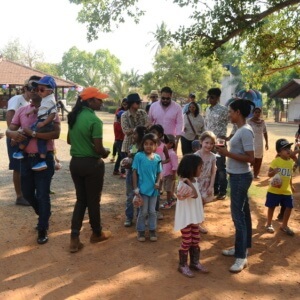 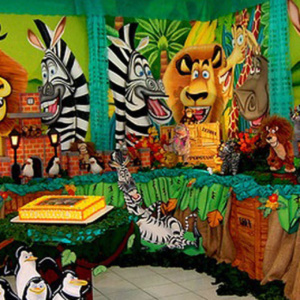 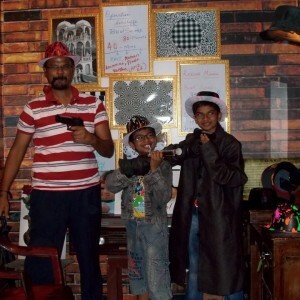 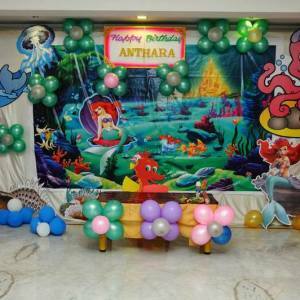 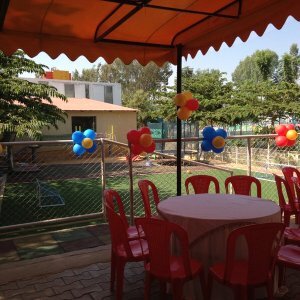 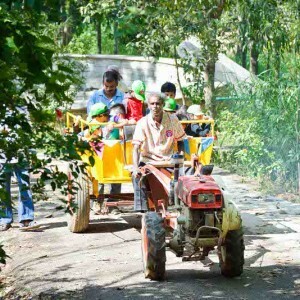 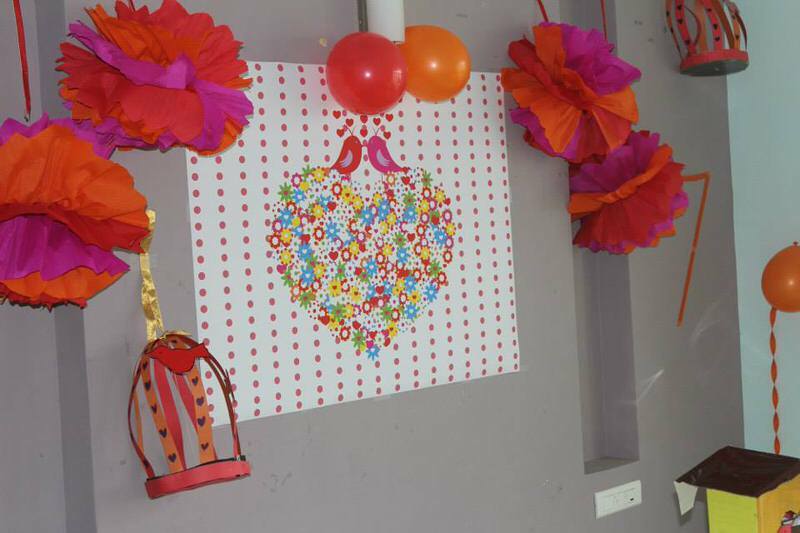 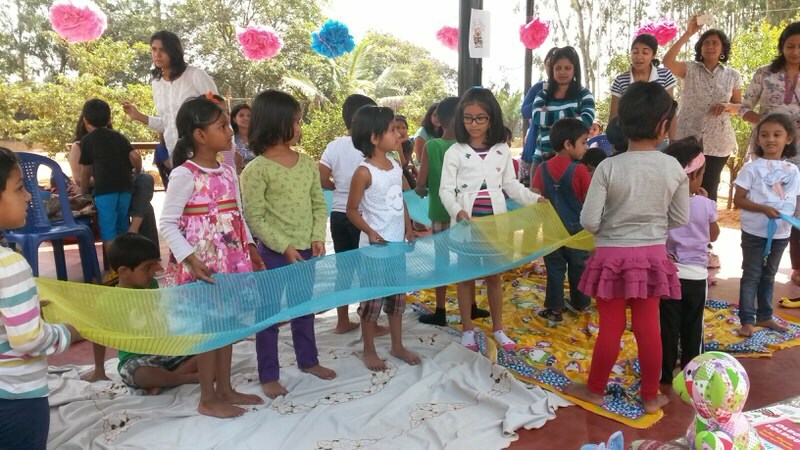 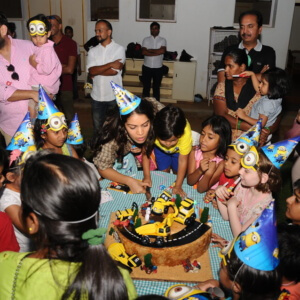 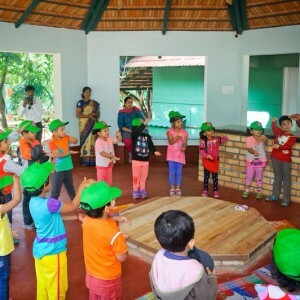 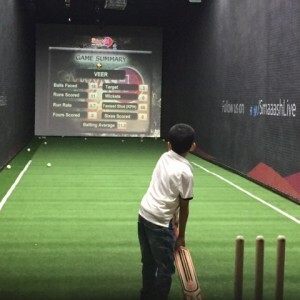 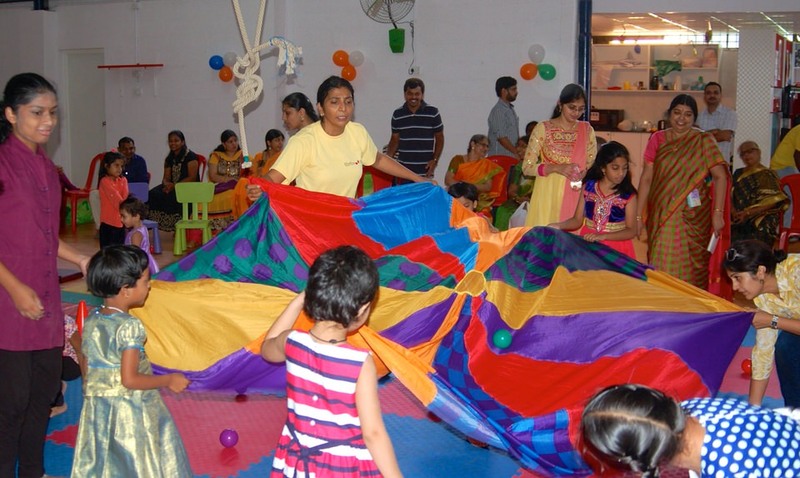 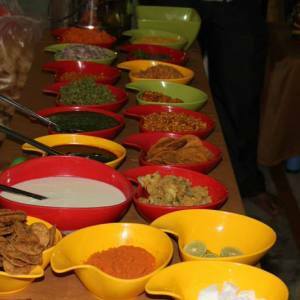 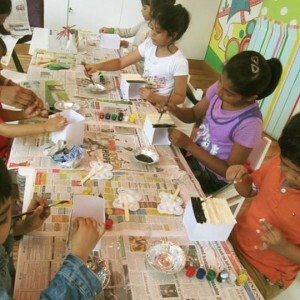 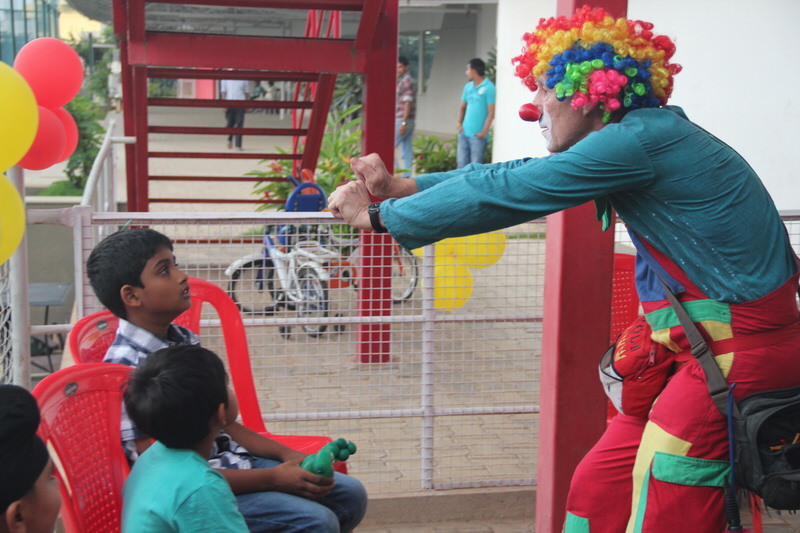 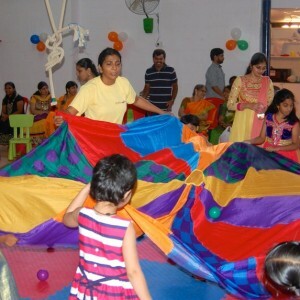 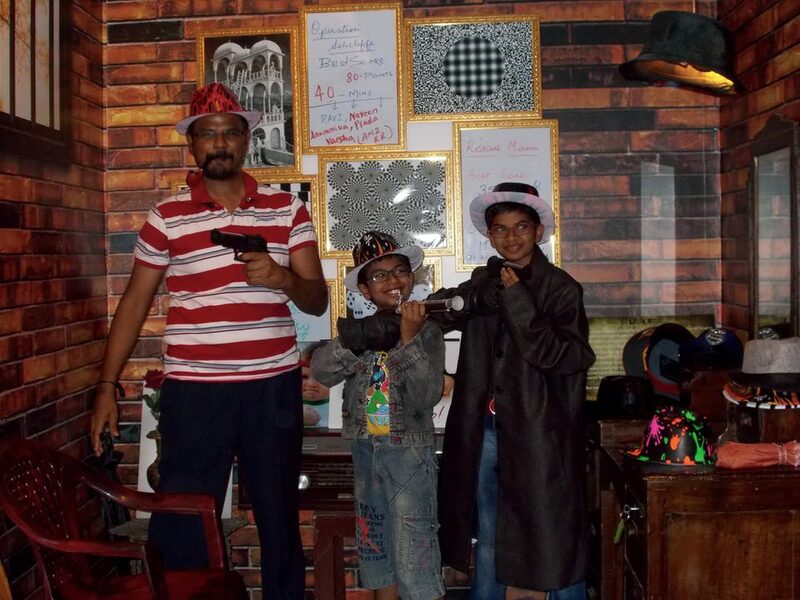 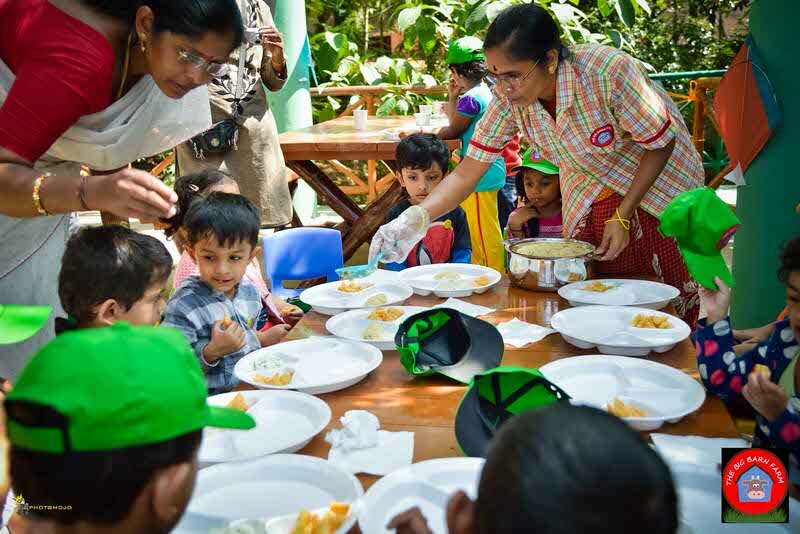 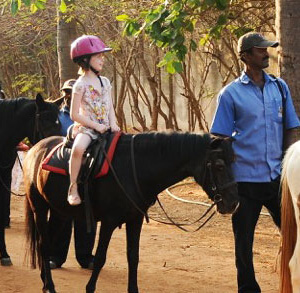 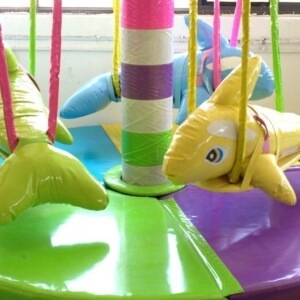 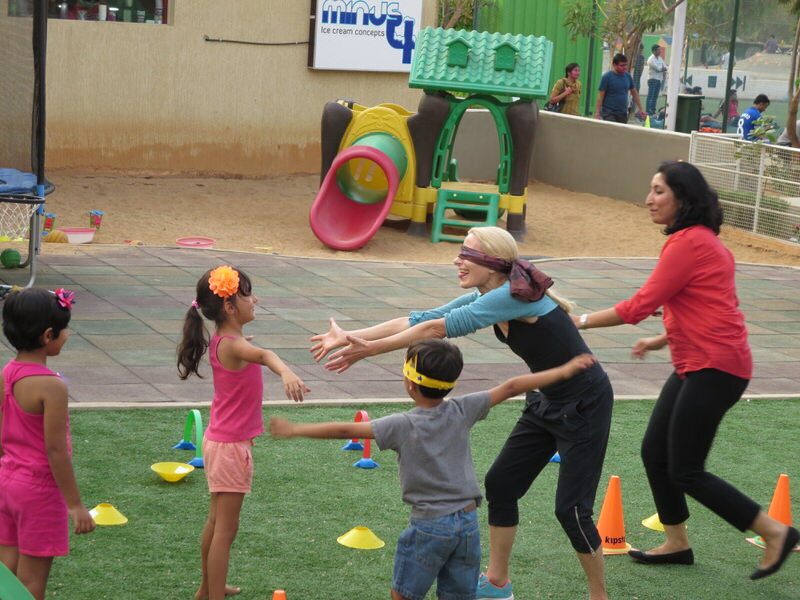 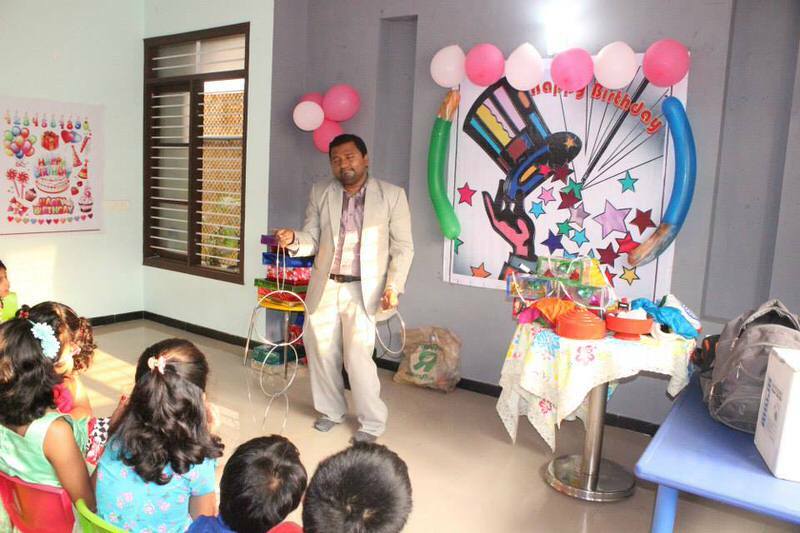 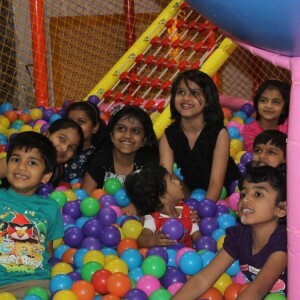 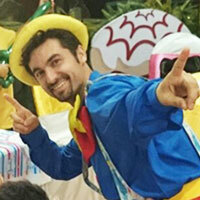 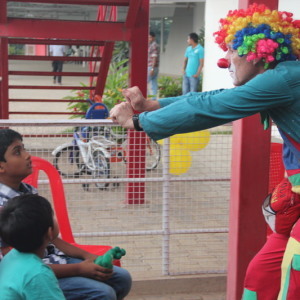 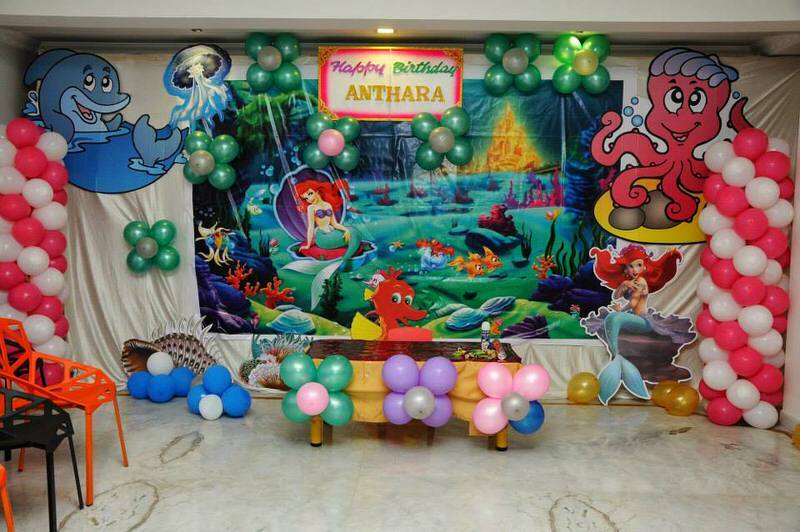 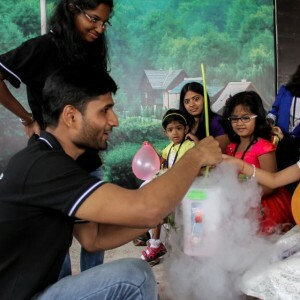 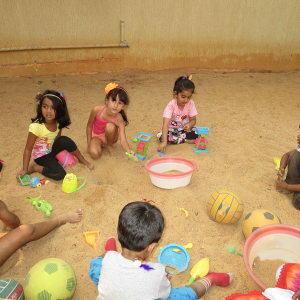 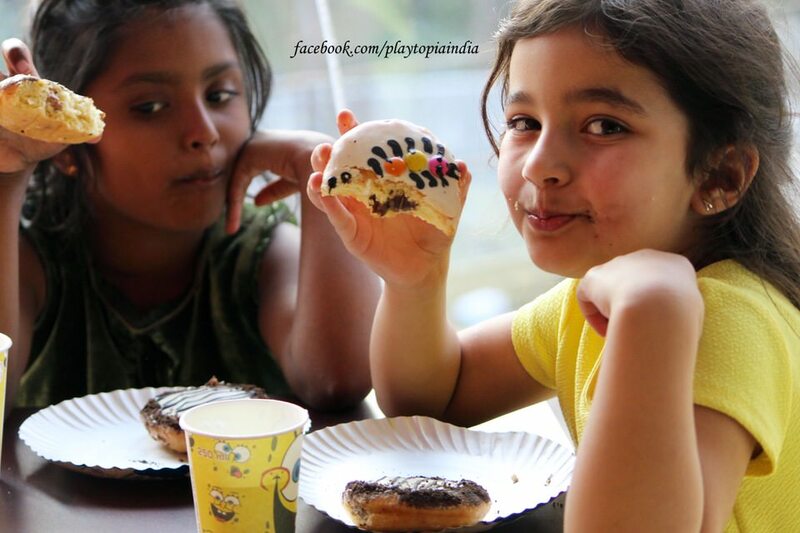 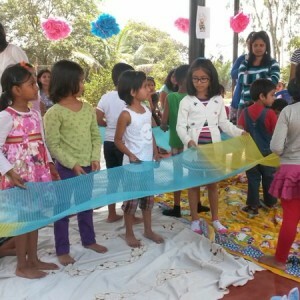 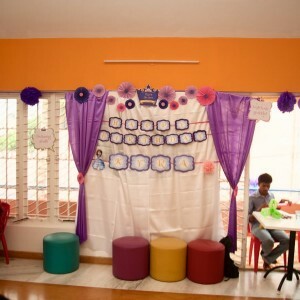 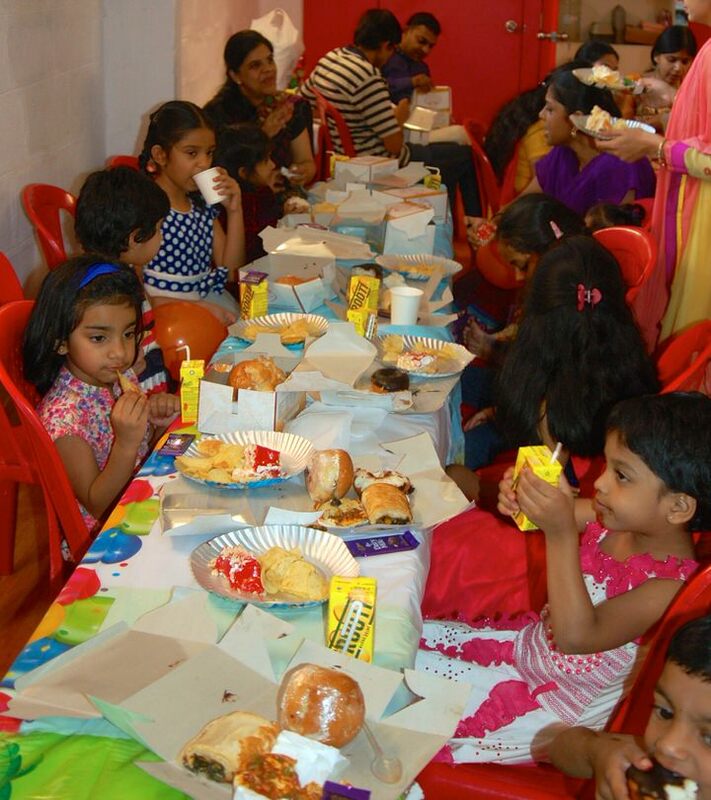 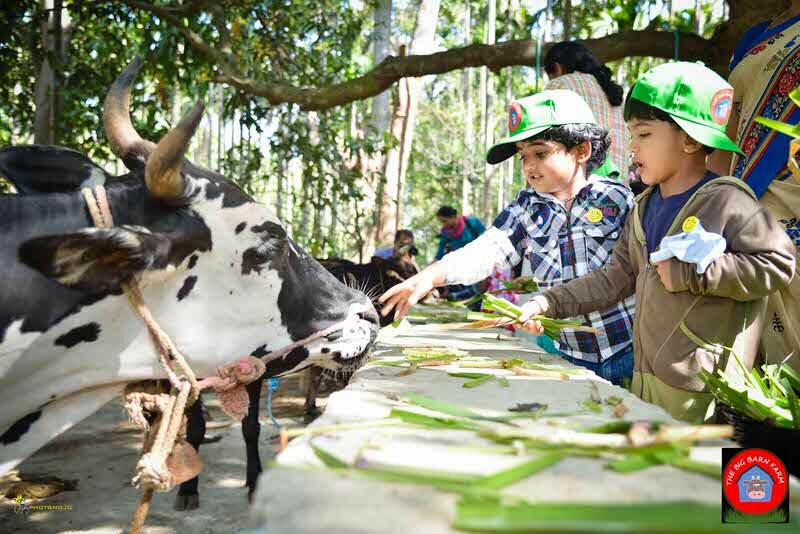 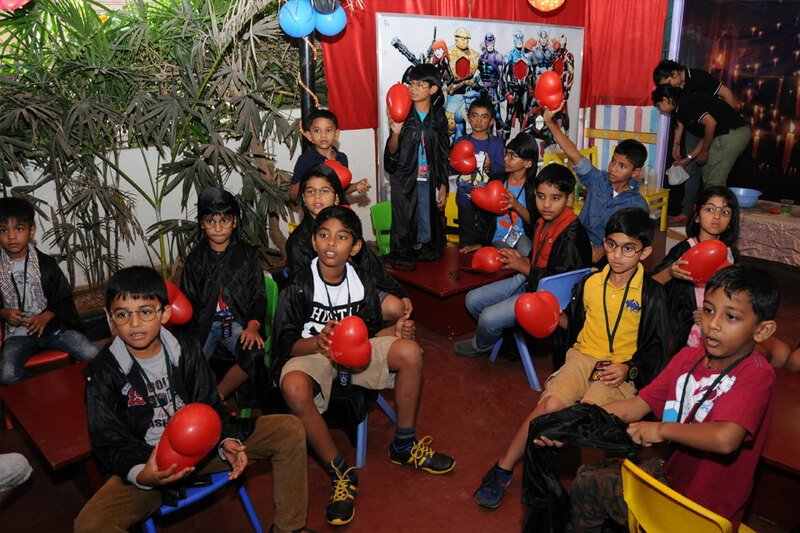 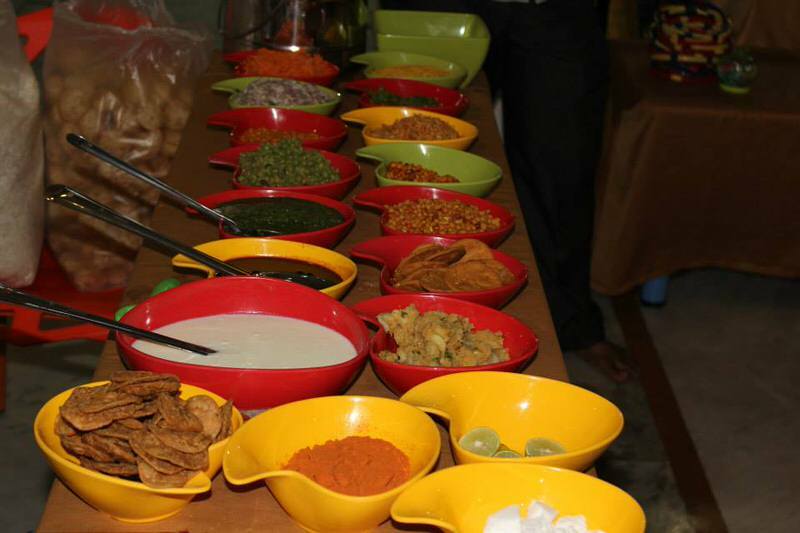 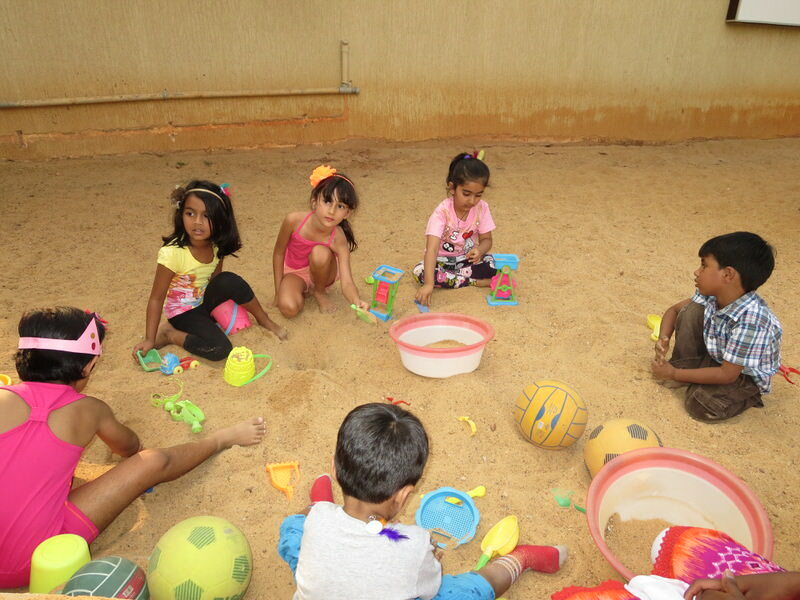 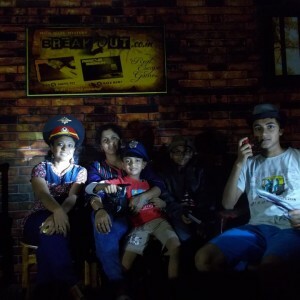 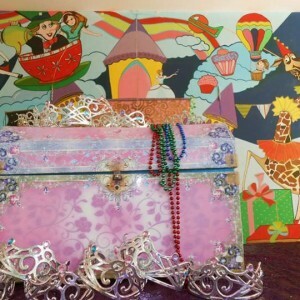 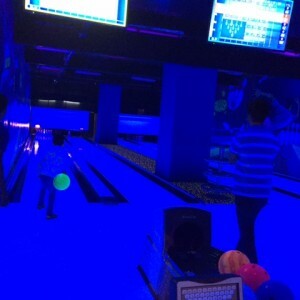 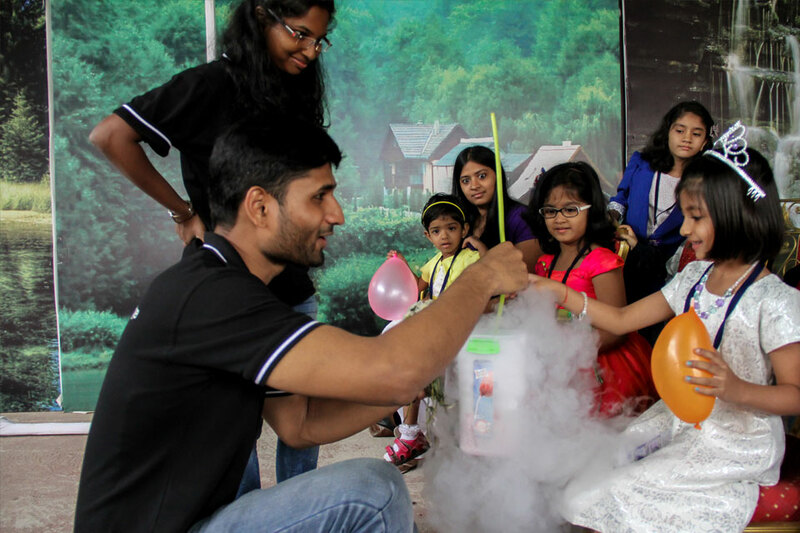 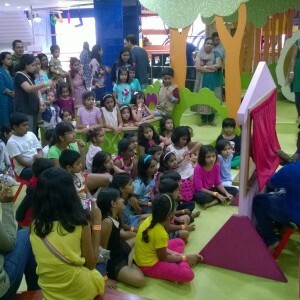 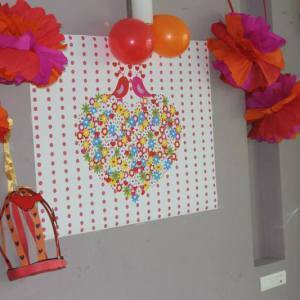 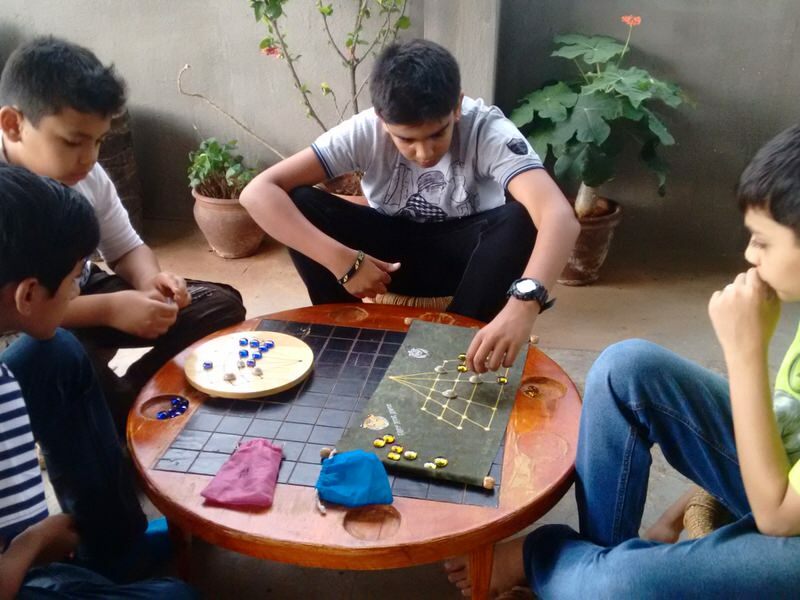 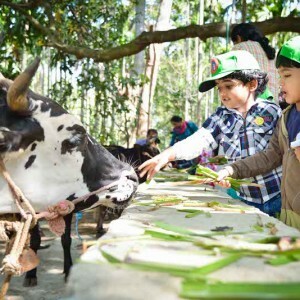 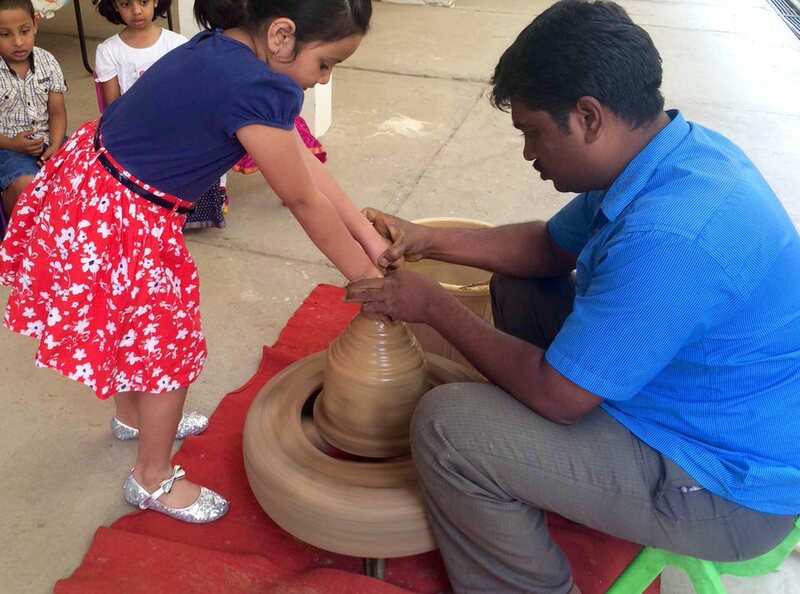 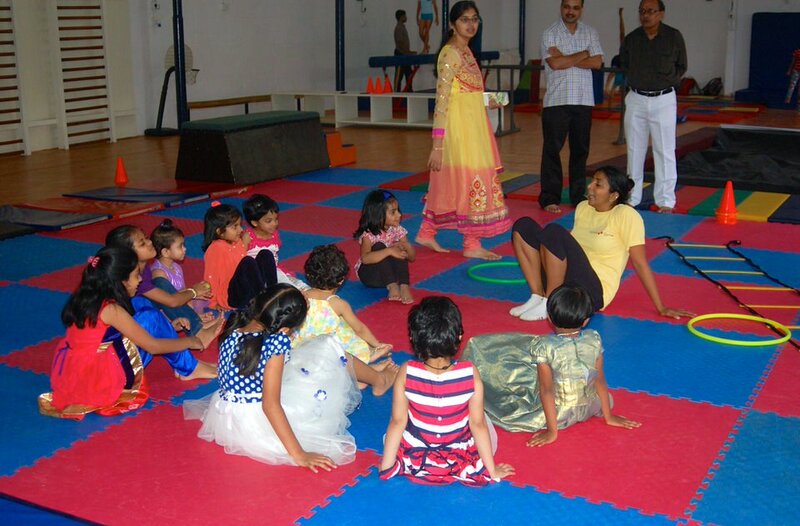 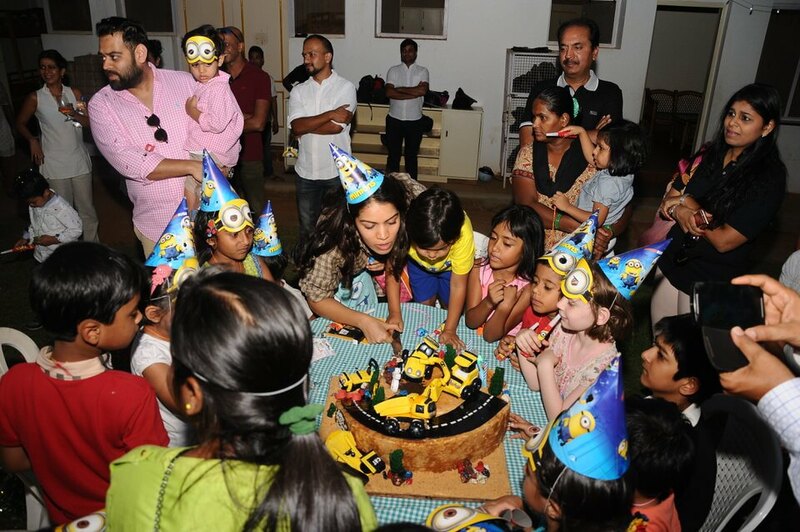 Kids’ birthday party venues in Bangalore are in huge demand these days. 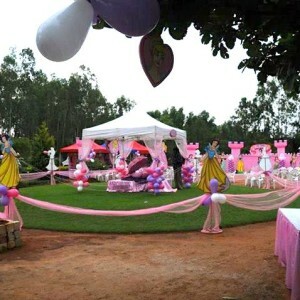 Outdoor and indoor party venues are mainly preferred to home parties as they save the host a lot of energy and the associated mess with parties can be side-stepped. 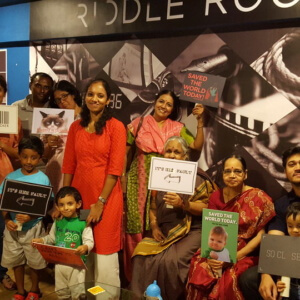 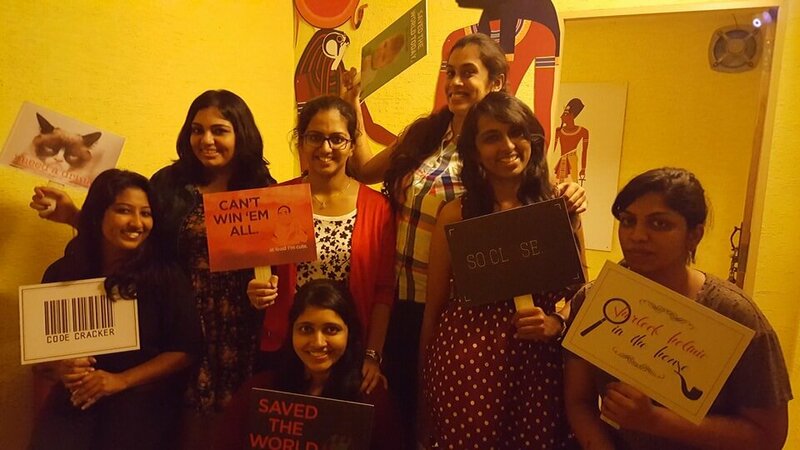 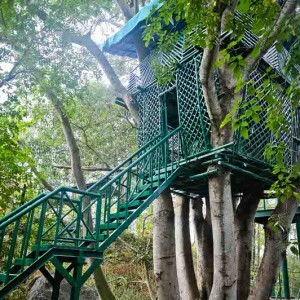 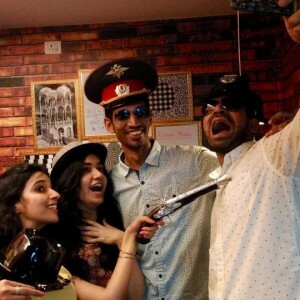 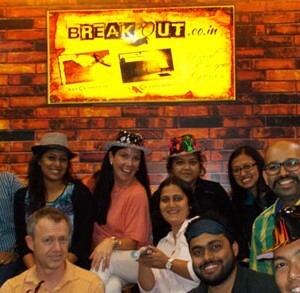 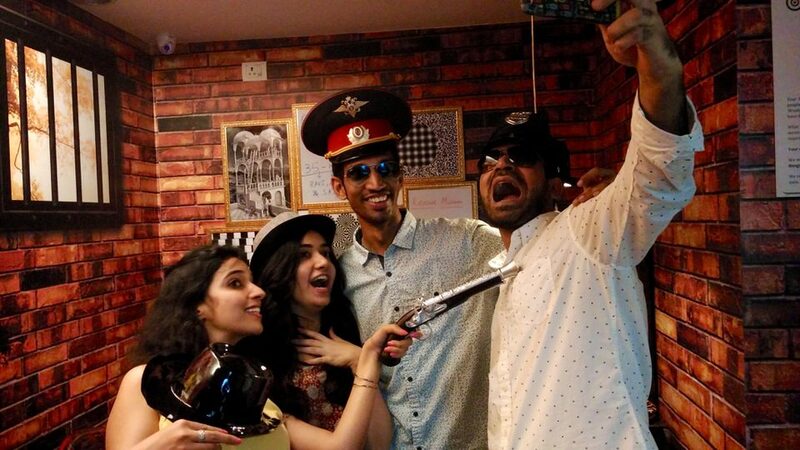 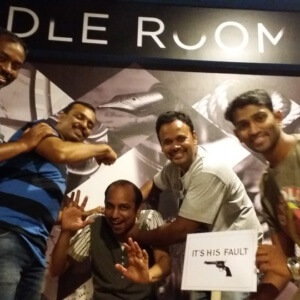 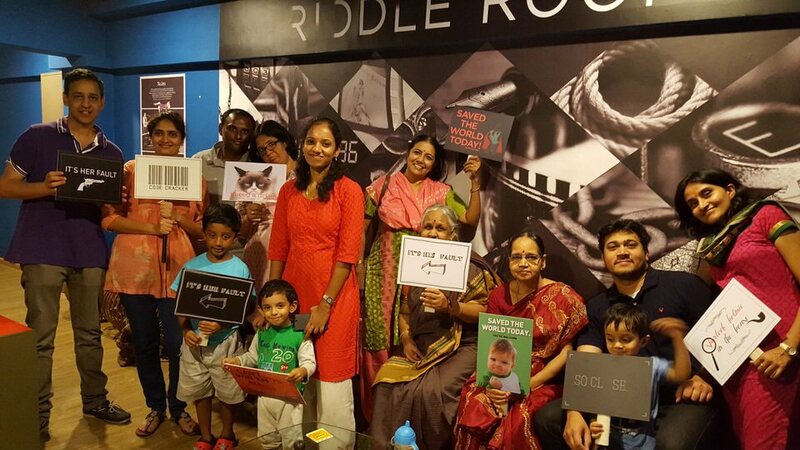 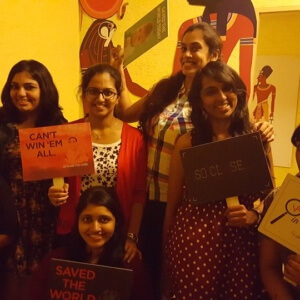 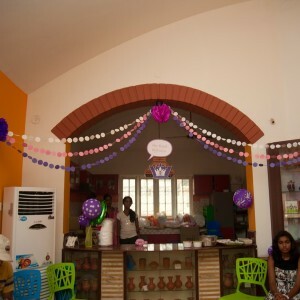 Not just that, some of the best places to celebrate birthdays in Bangalore offer a lot more than just the space to conduct parties. 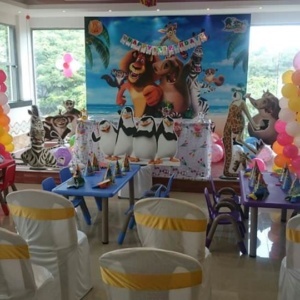 From having in-house entertainment options like a play area or pony rides to including food, customized decor within their packages, party venues in Bangalore cater to every kind of need and requirement. 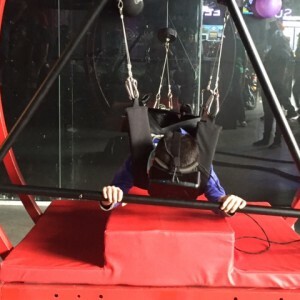 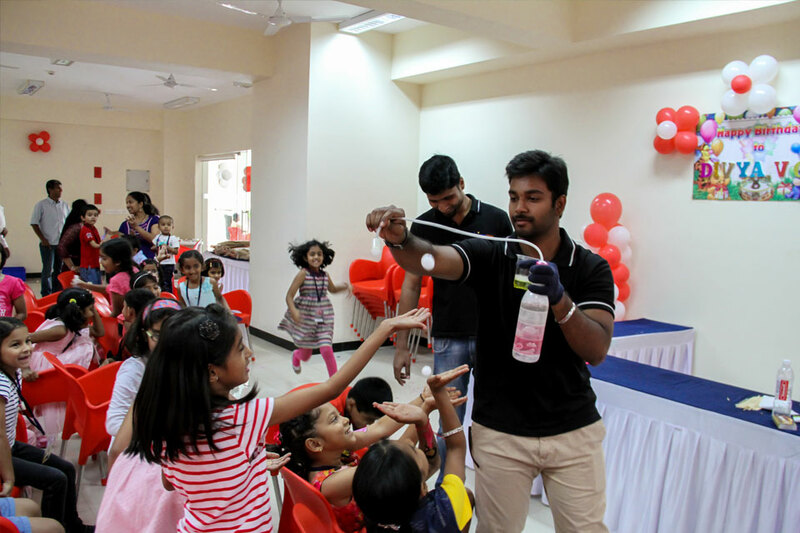 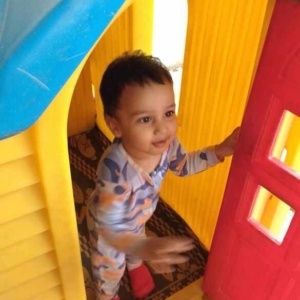 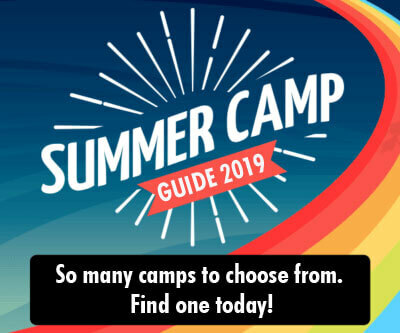 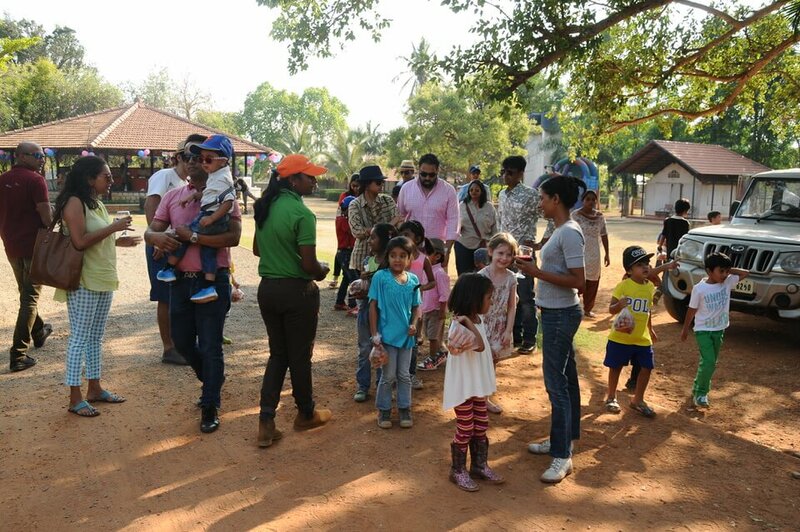 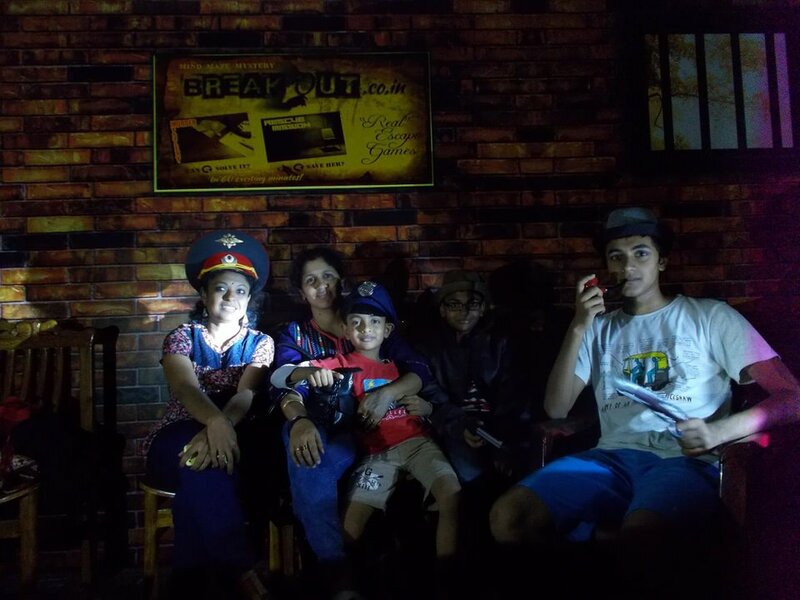 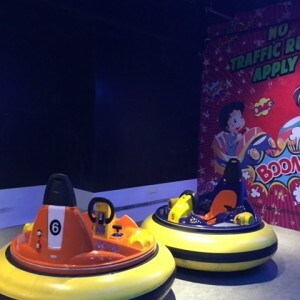 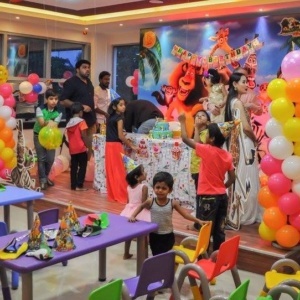 Indeed, planning a birthday party has never been so easier and the while it’s priceless to see the glow of happiness on your kids’ faces, the actual cost to hire one of these best party venues in Bangalore isn’t a deterrent too. 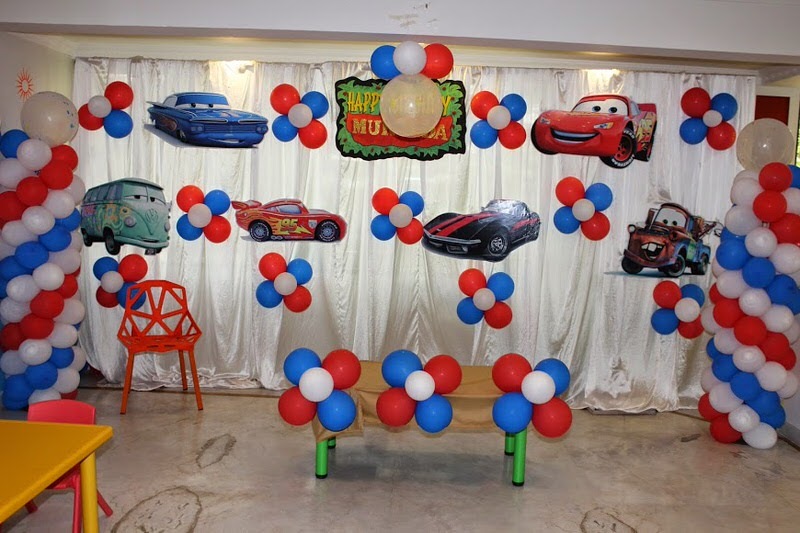 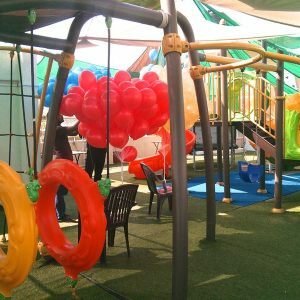 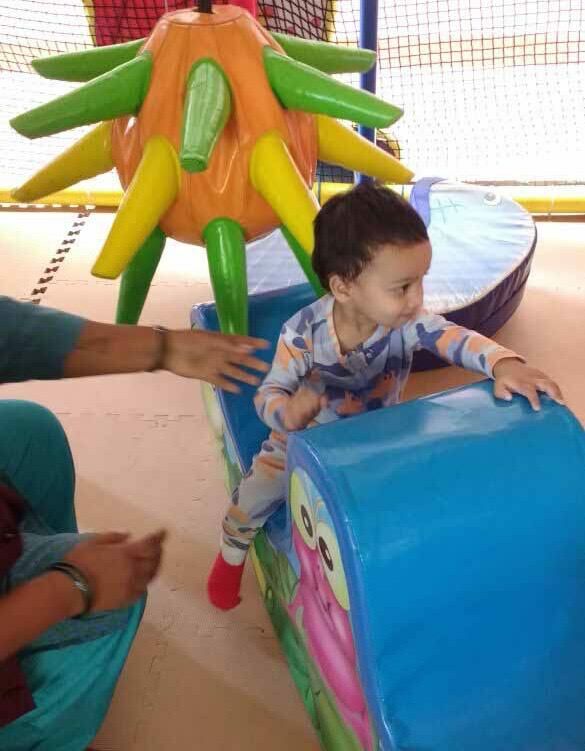 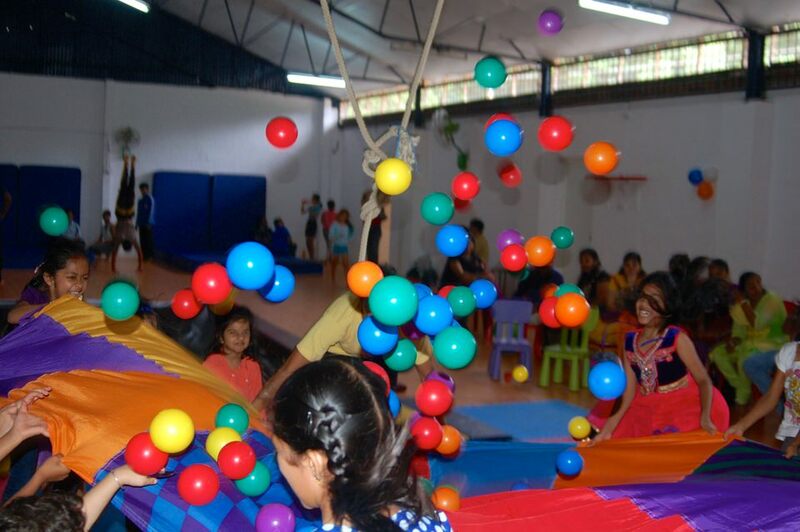 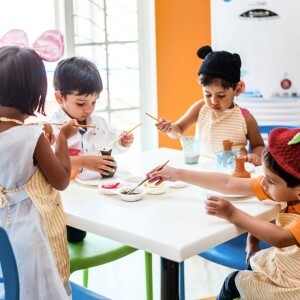 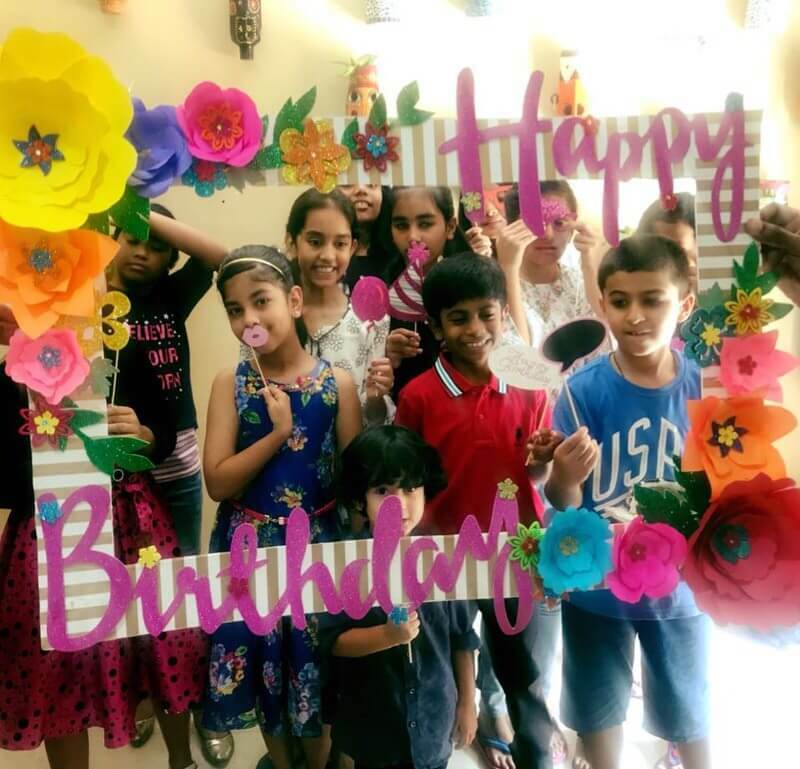 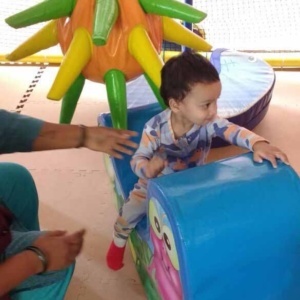 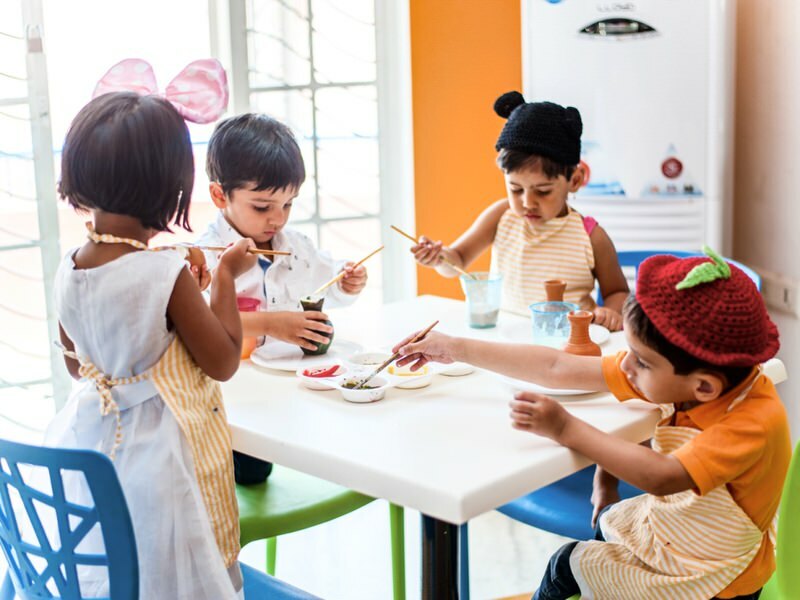 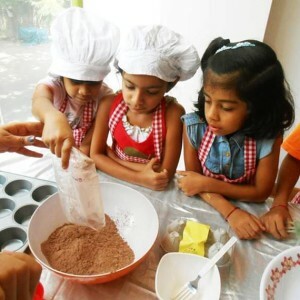 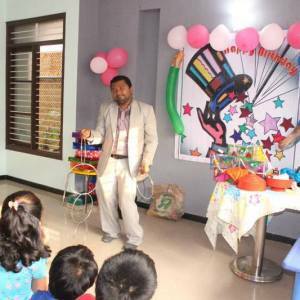 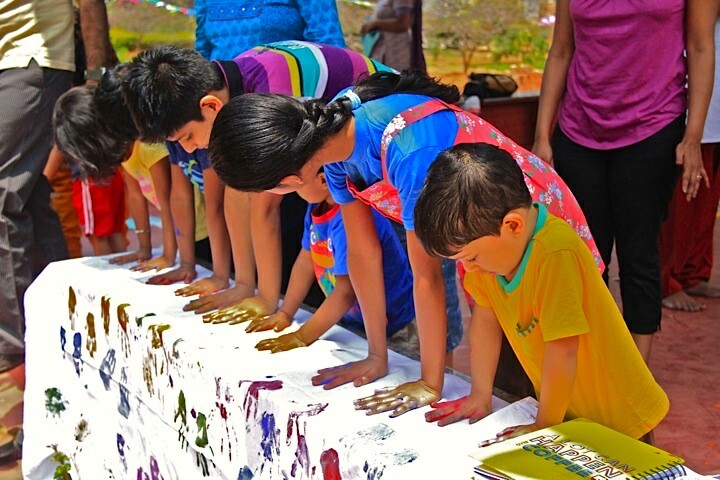 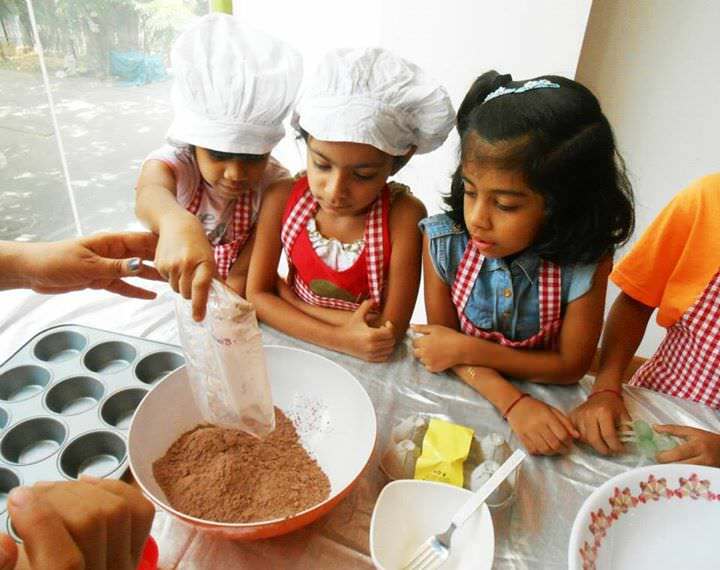 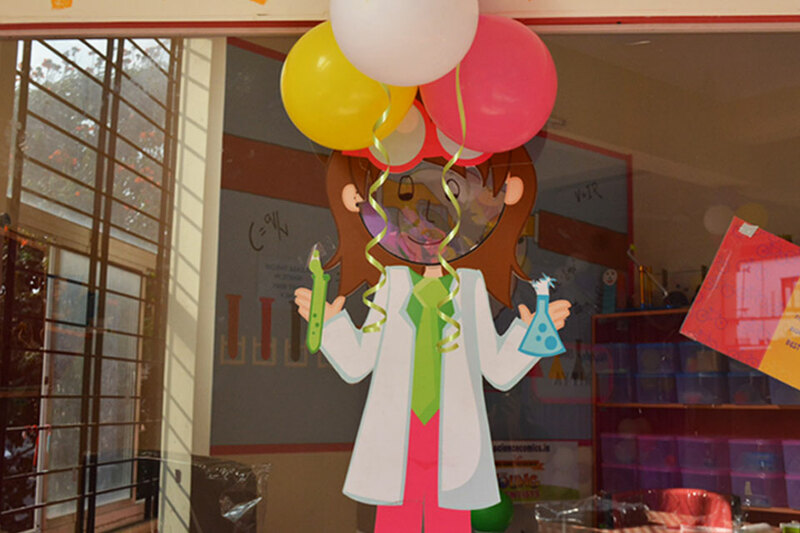 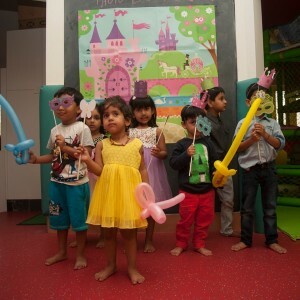 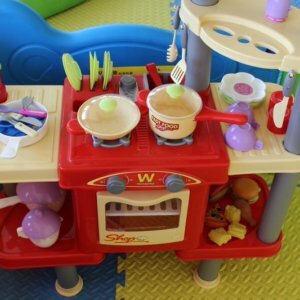 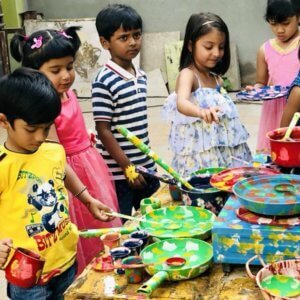 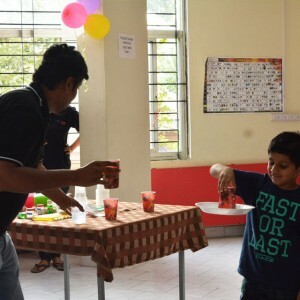 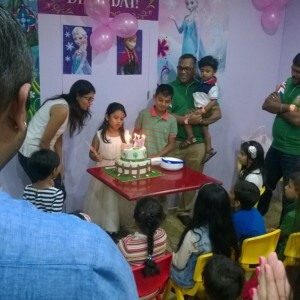 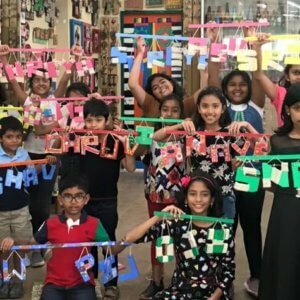 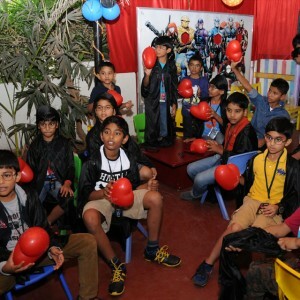 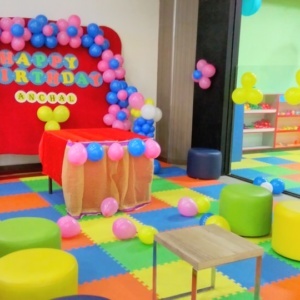 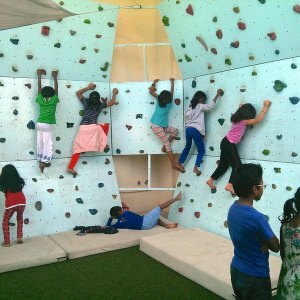 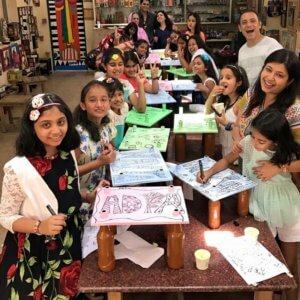 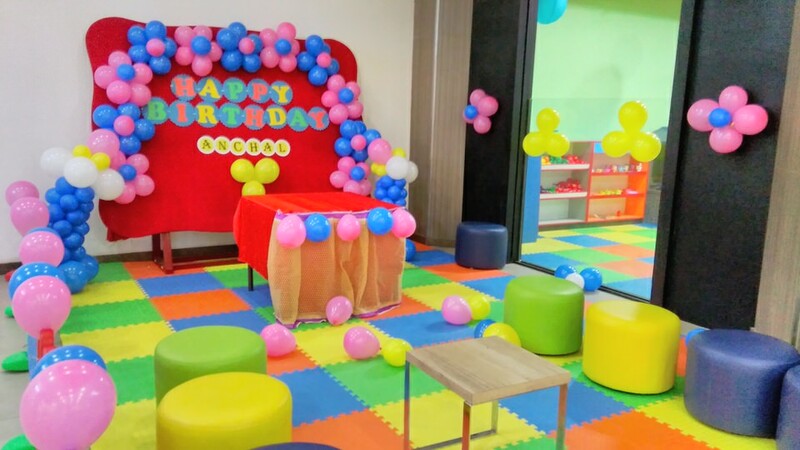 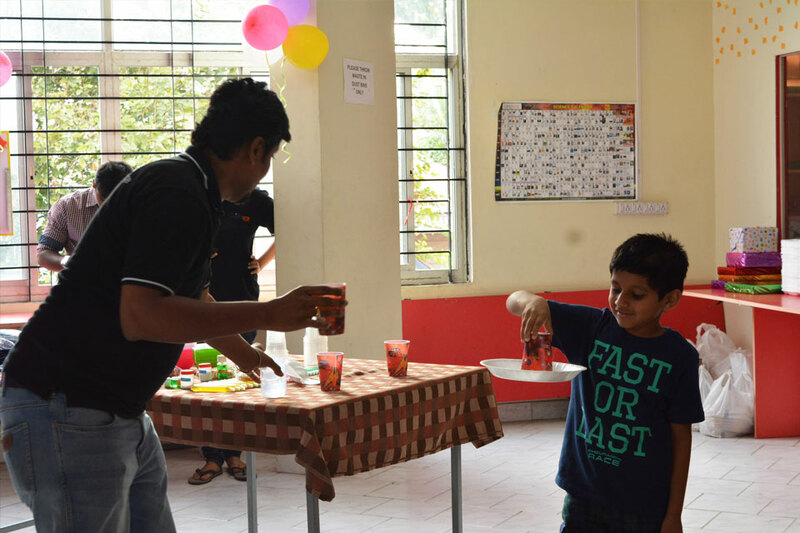 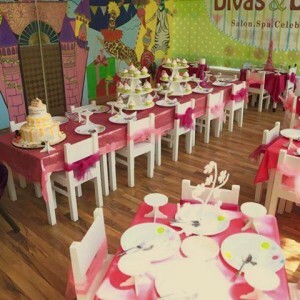 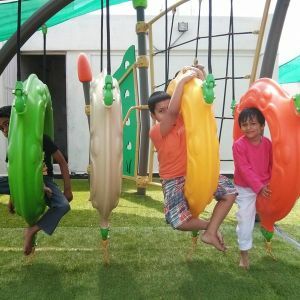 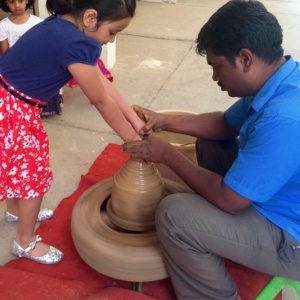 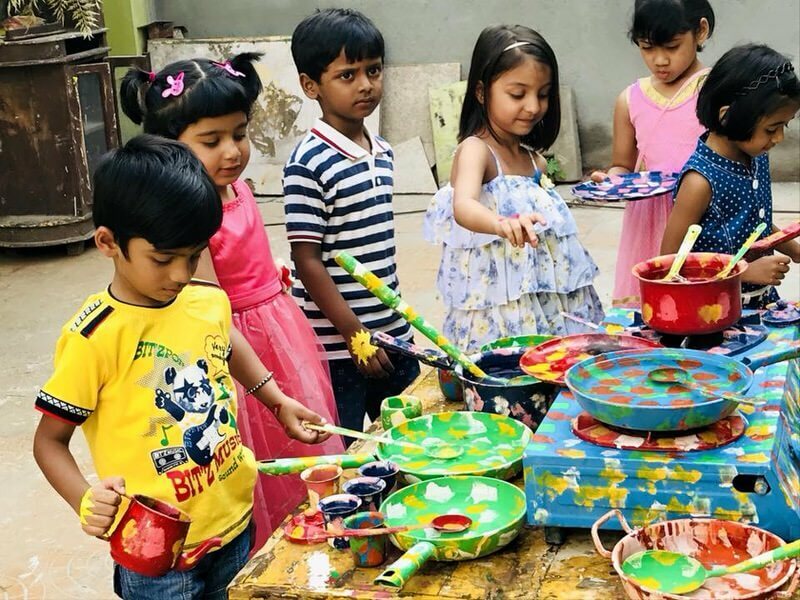 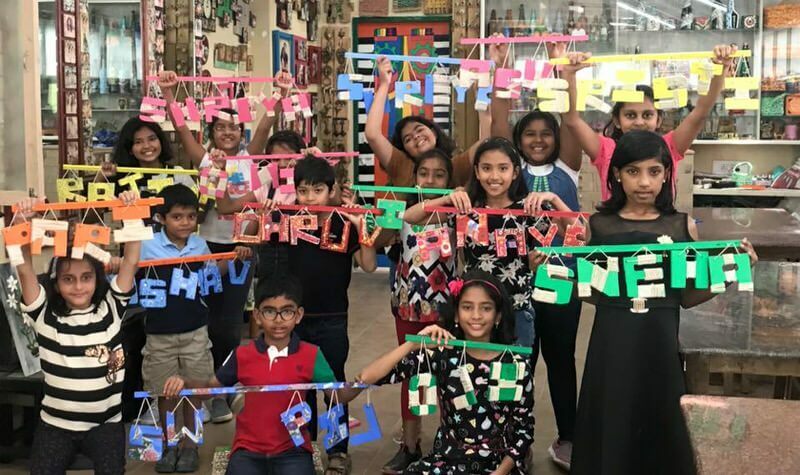 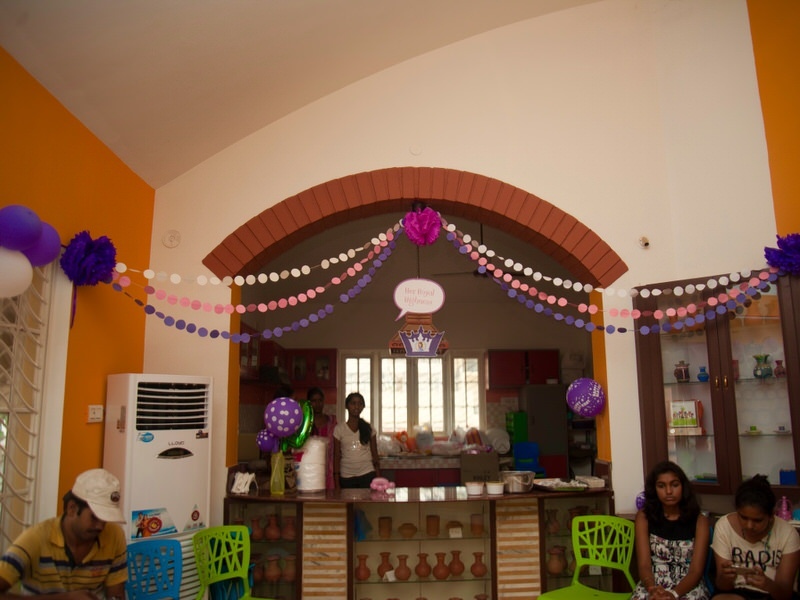 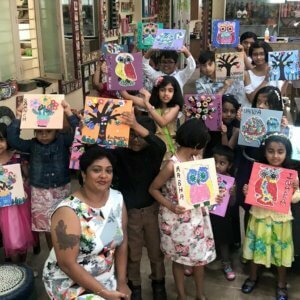 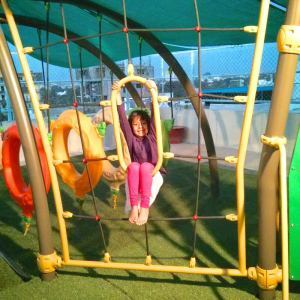 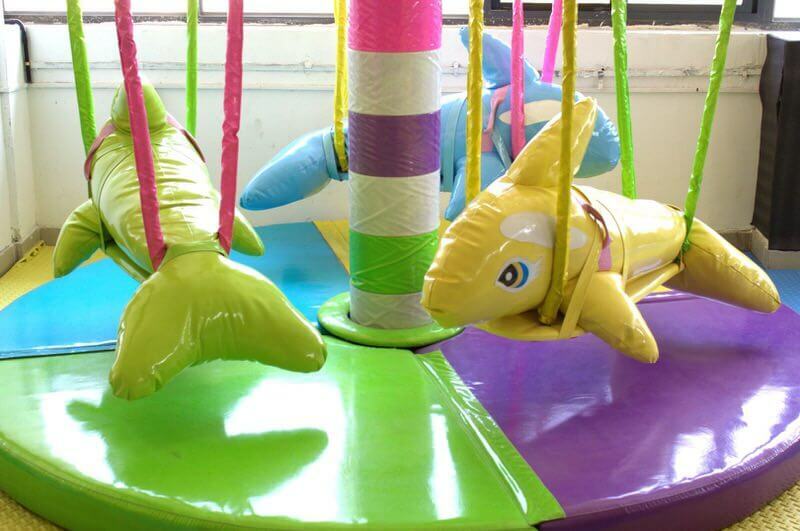 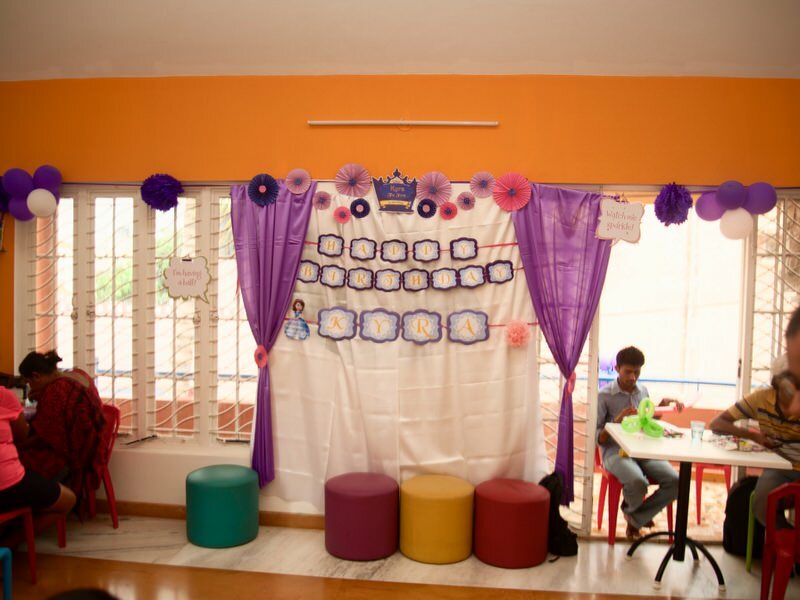 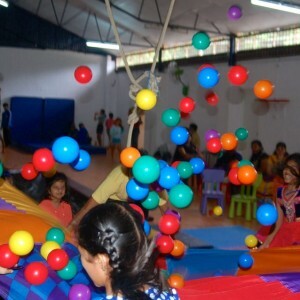 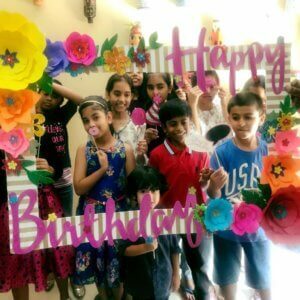 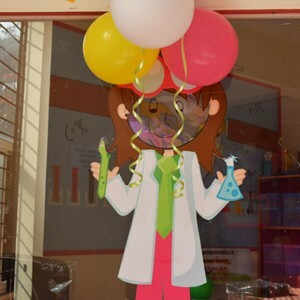 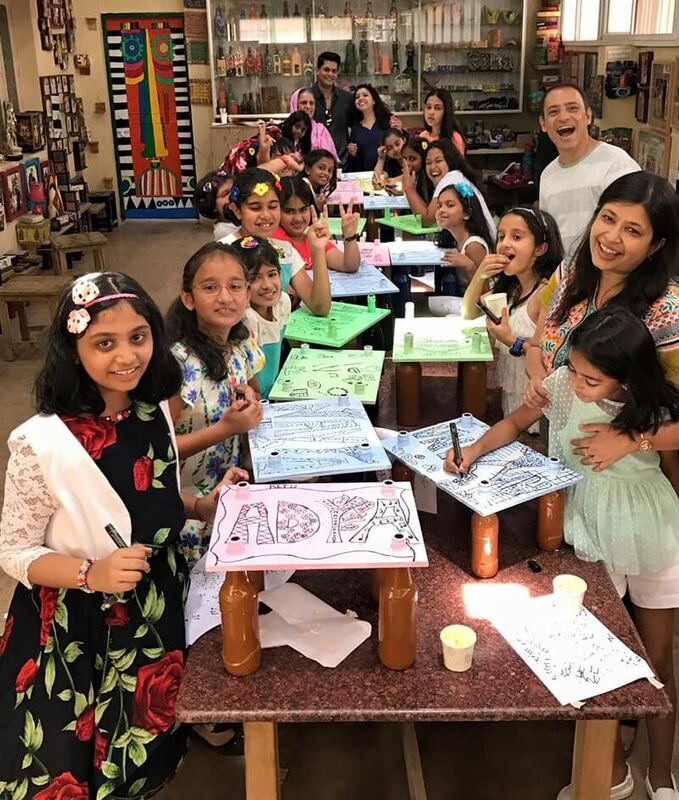 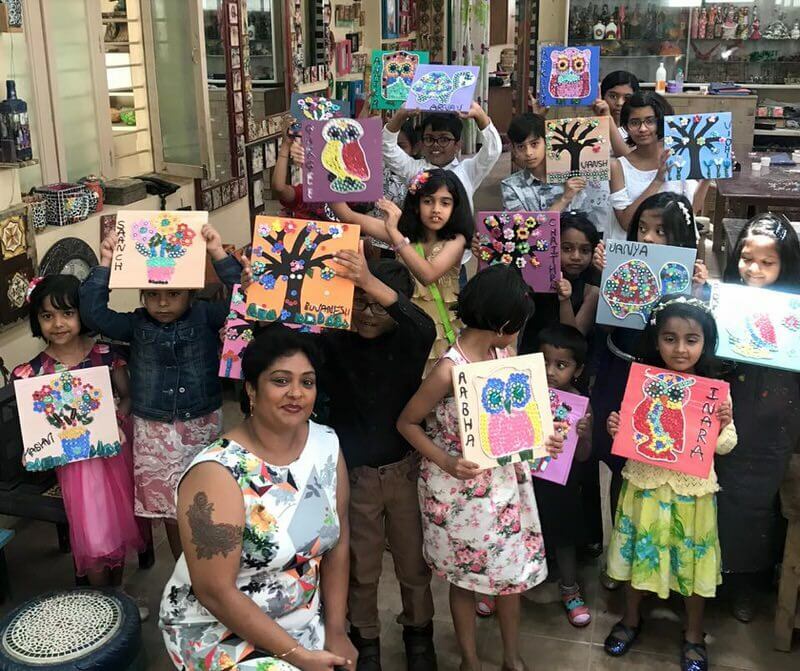 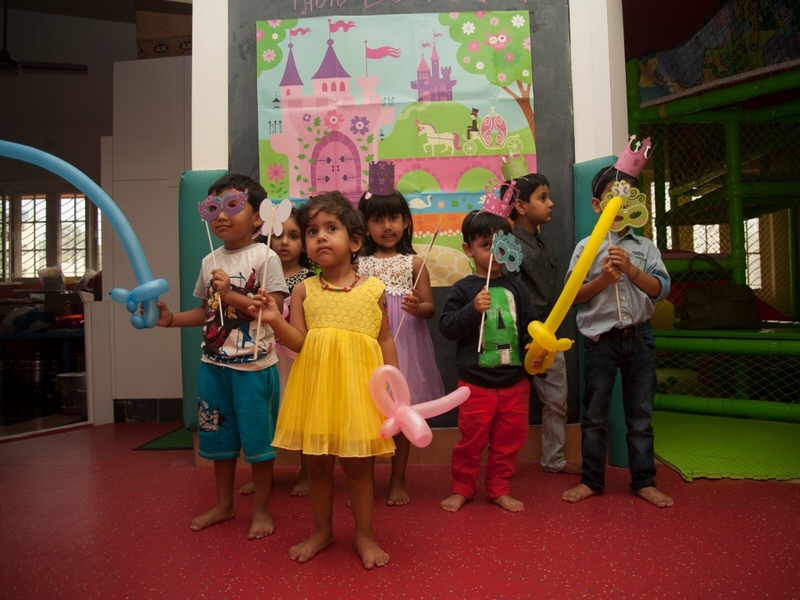 Here are some of the coolest kids’ birthday party venues in Bangalore with some of the best birthday activities and party decoration ideas for your kids birthday celebration. 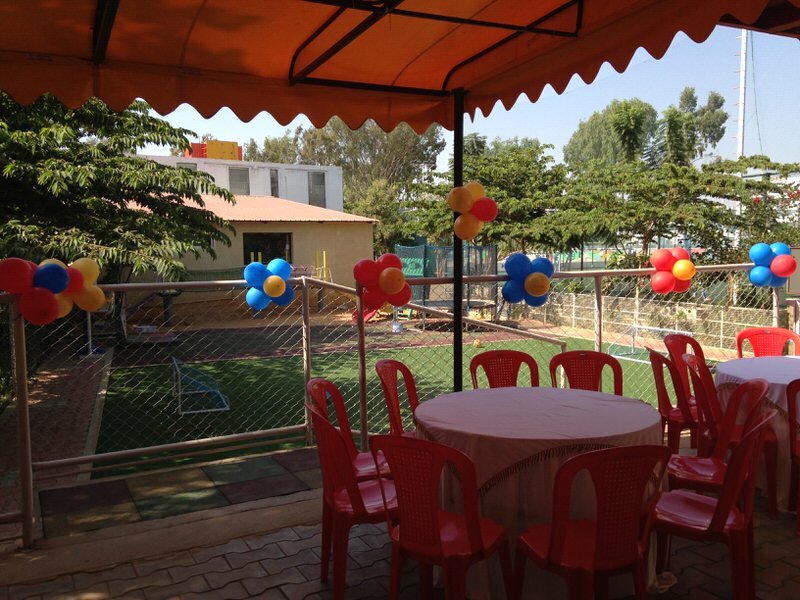 Can accommodate upto 50 people in all. 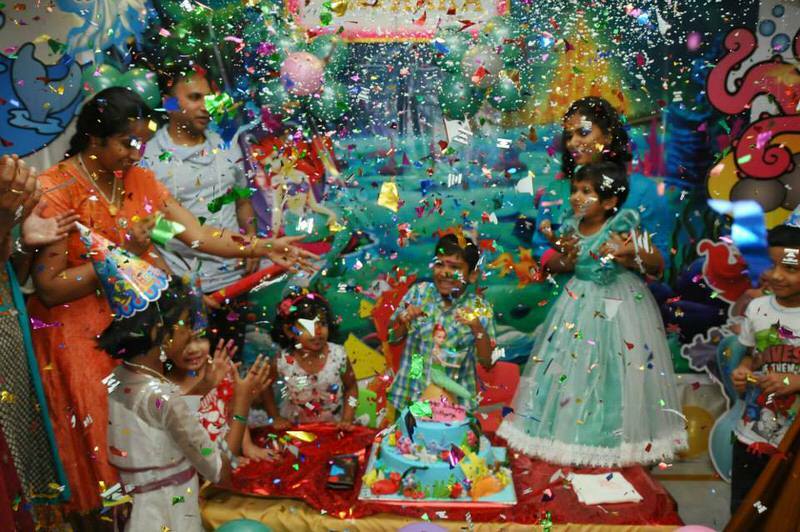 Minimum of 6 children required to make bookings for a birthday party. 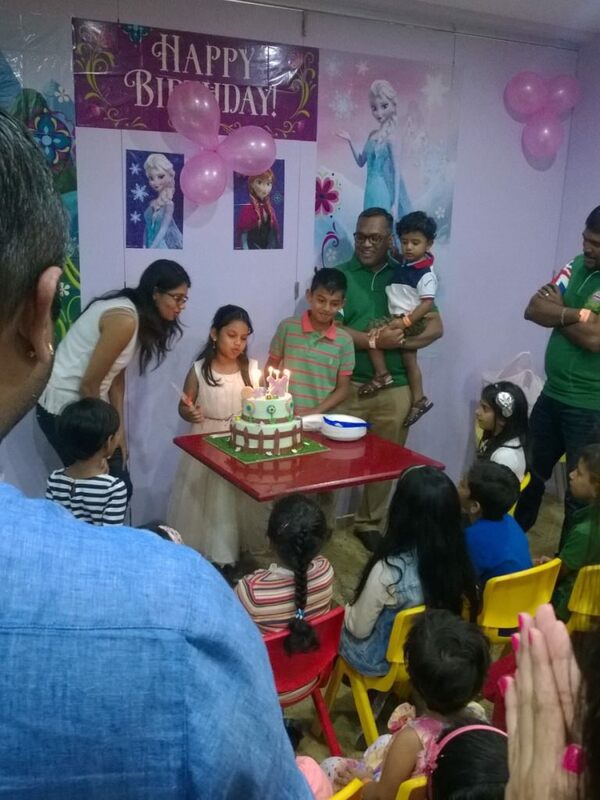 Each birthday celebration is for 2 hours, with 75 mins for various activities and 45 mins for cake cutting and food. 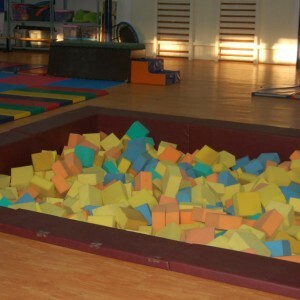 A minimum of 5 kids is required. 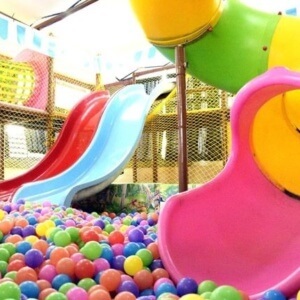 A minimum number of 10 kids is required. 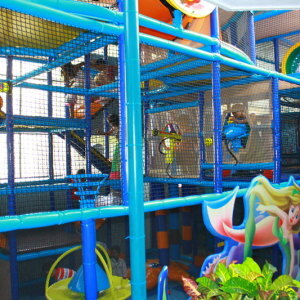 A time limit of 3 to 5 hours based on the package chosen. 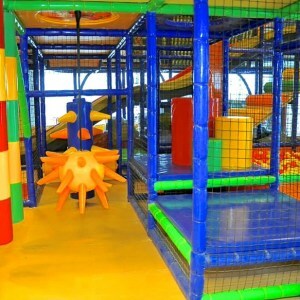 Minimum 25 children required to book the place. 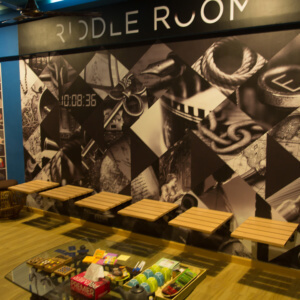 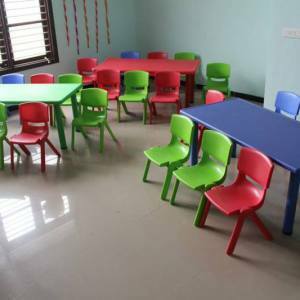 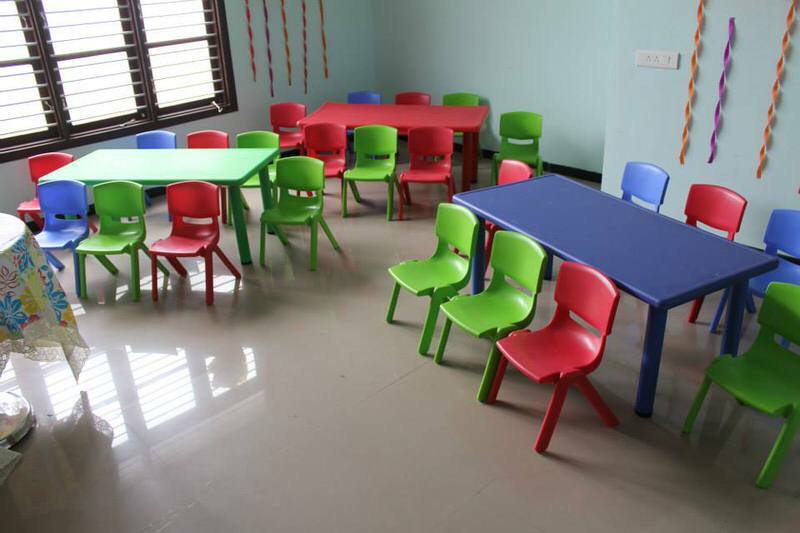 Can accommodate up to 50 kids in the multi-purpose hall. 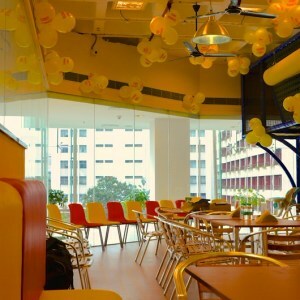 Can accommodate up to 30 people in the Rest-o-bar. 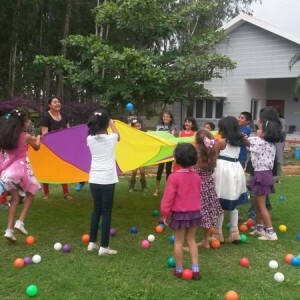 A minimum number of 15 kids is required. 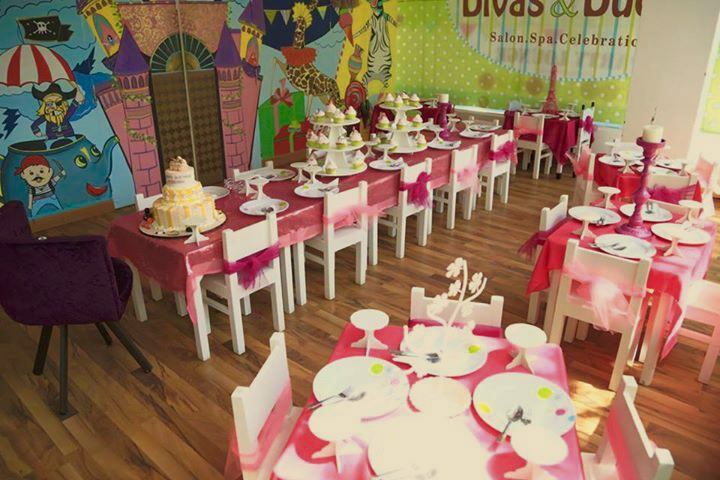 A minimum of 1 to 10 children required to book the venue for birthday party. 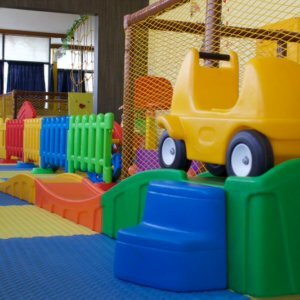 Up to 2 adults per child are not charged. 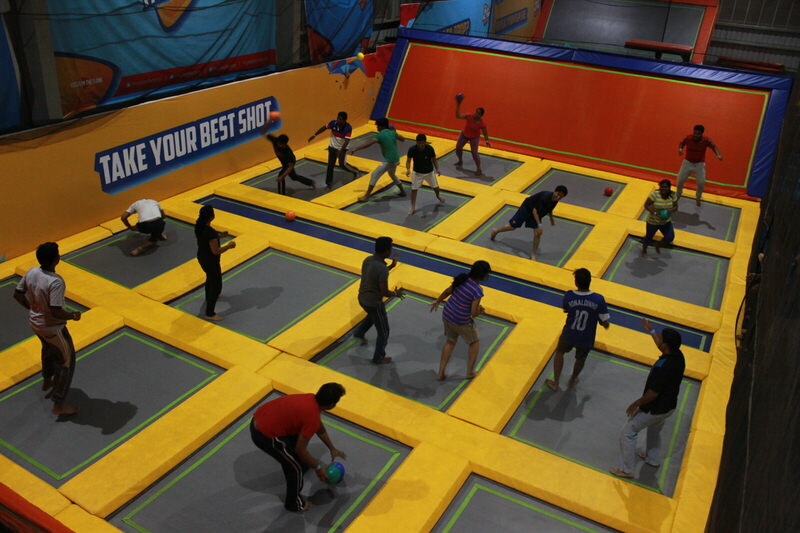 Above this number, Rs.100/- is charged per adult. 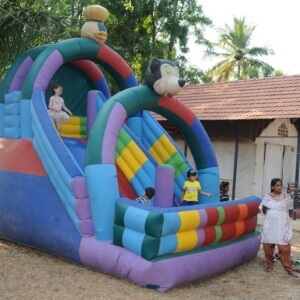 Party booking and slot confirmed after receiving 50% advance as Non-Refundable Deposit. 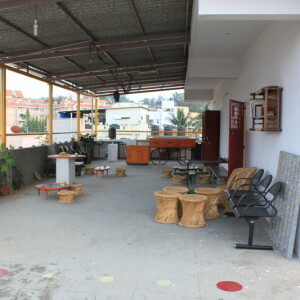 The area of the venue is 3000 sq.ft. 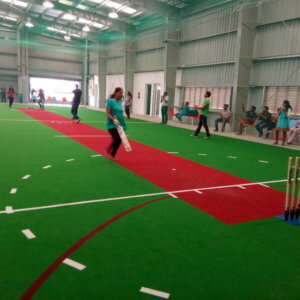 The area of the venue is 4000 sq.ft. 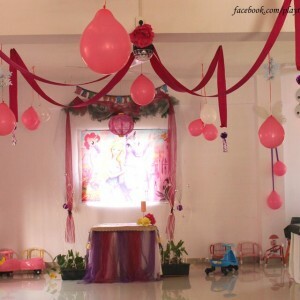 Party duration is up to 3 hours depending on the package chosen. 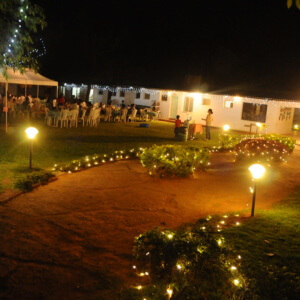 There is no minimum requirement of people to book the place. 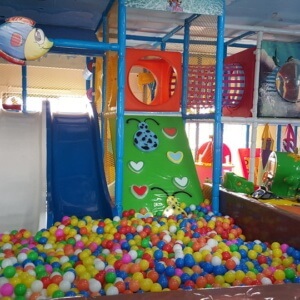 Can accommodate up to 80 kids and adults. 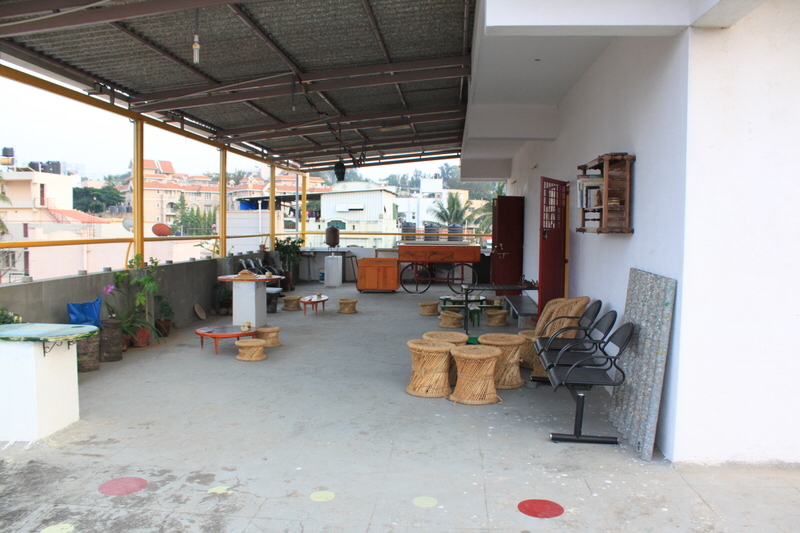 The area of the venue is 1200 sq.ft. 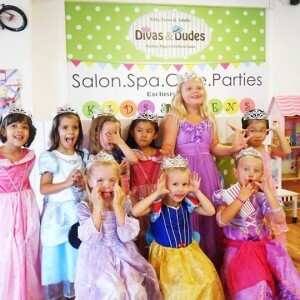 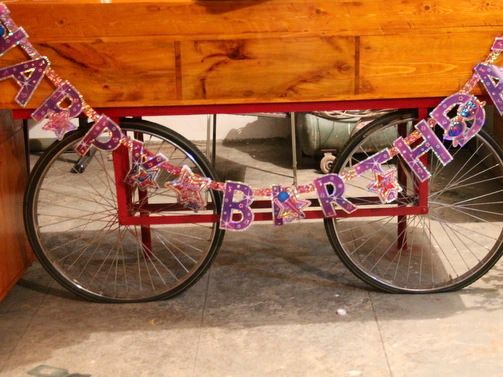 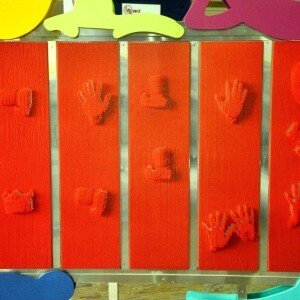 For a birthday party package or any other such special occasion, a minimum of 5 people required. 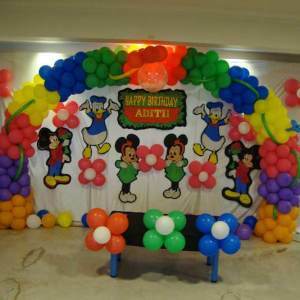 Party duration varies from 1.5 to 3 hours depending on the package chosen. 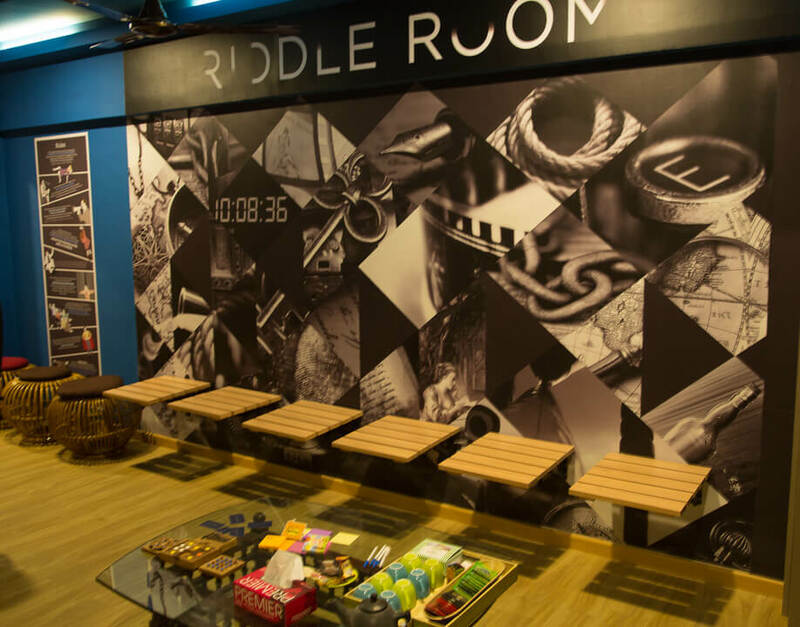 70 minutes including briefing and game time. 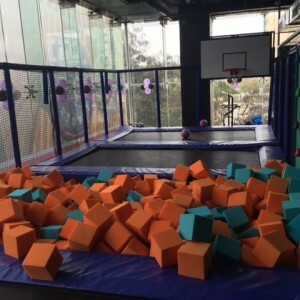 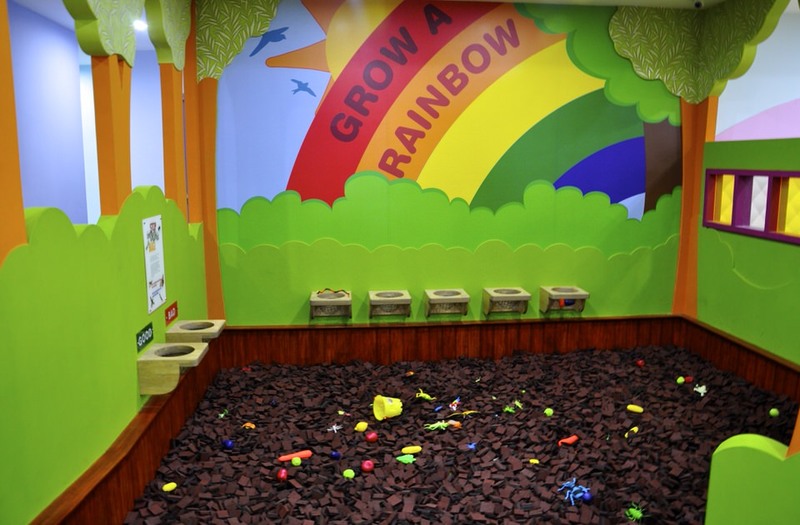 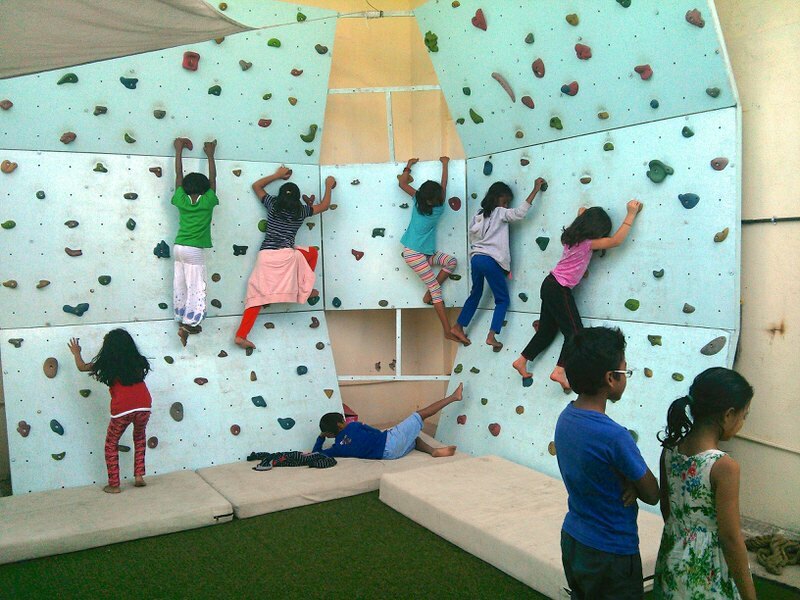 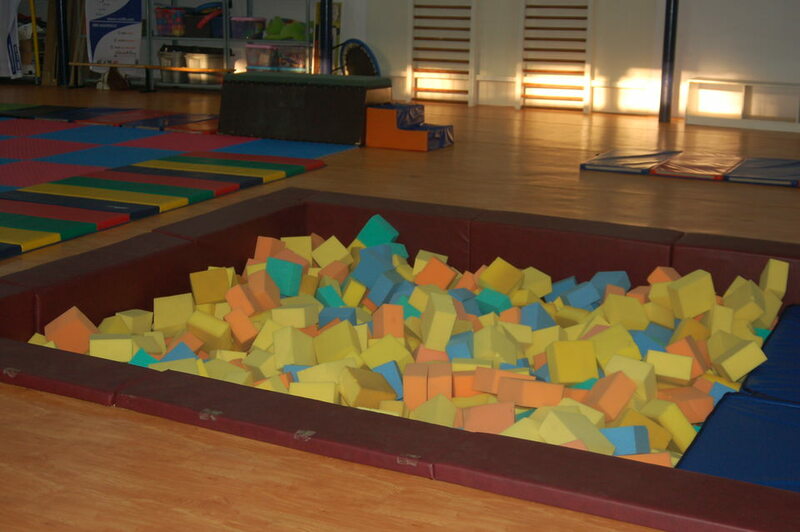 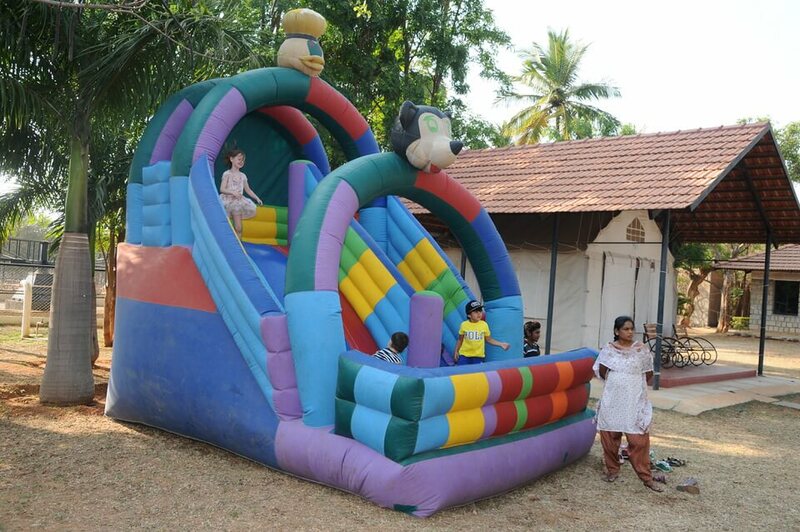 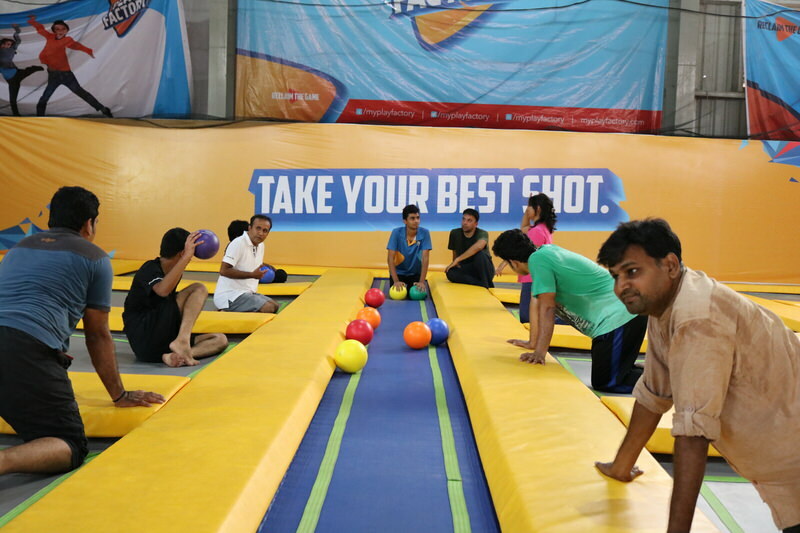 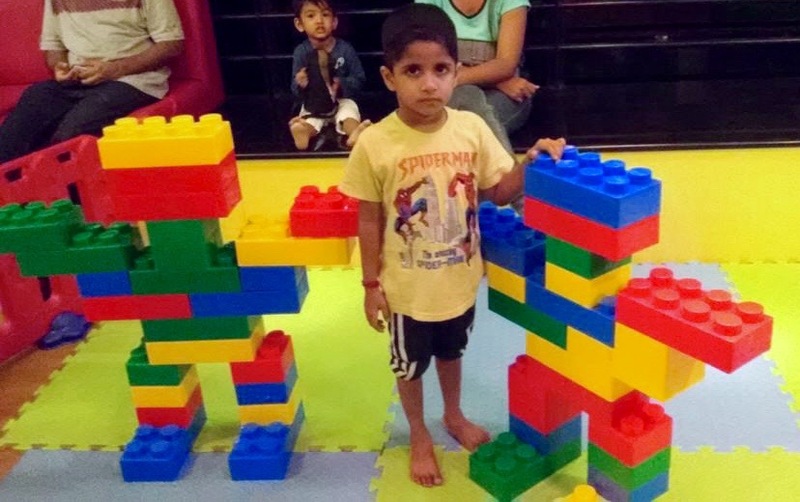 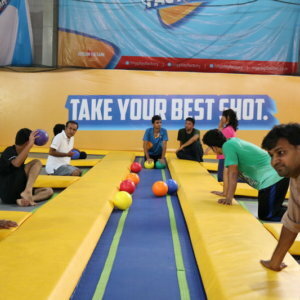 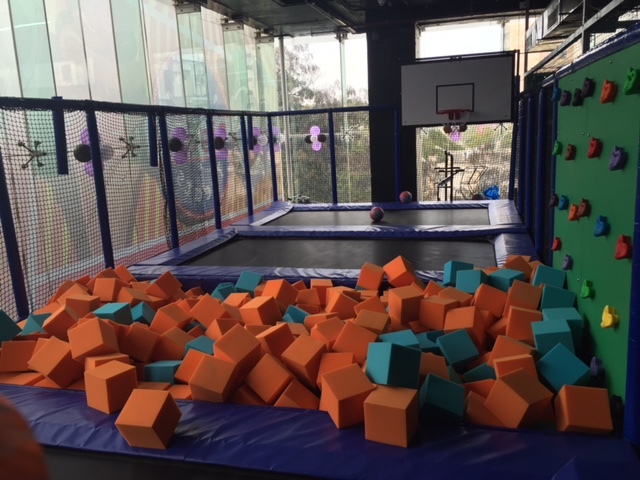 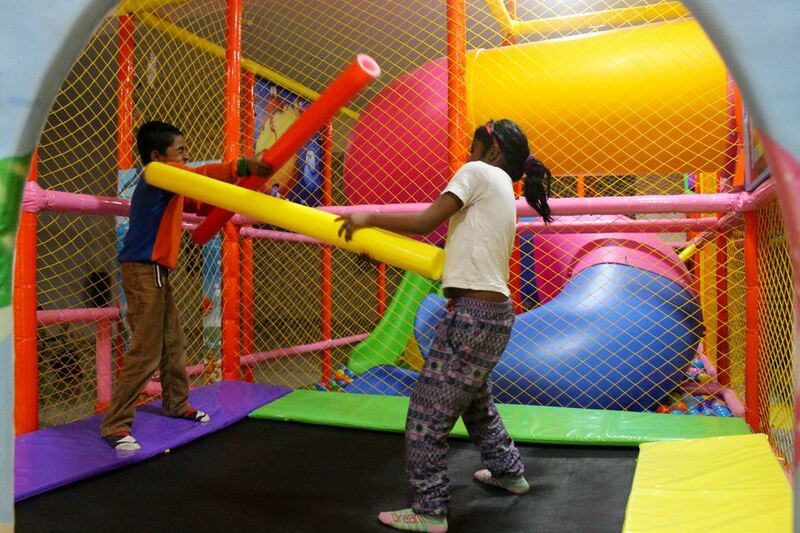 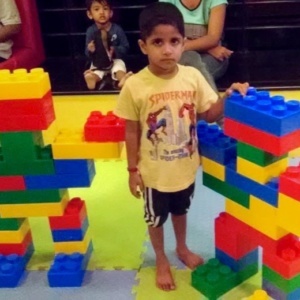 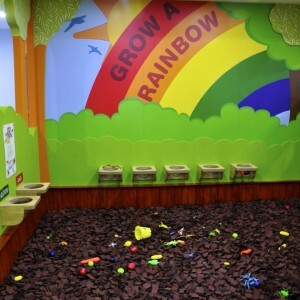 The only venue in Bangalore with a 13 ft sponge pit for kids. 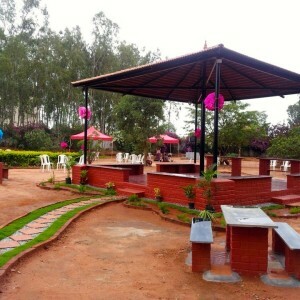 Opp Dell / Embassy Golf Link Business Park. 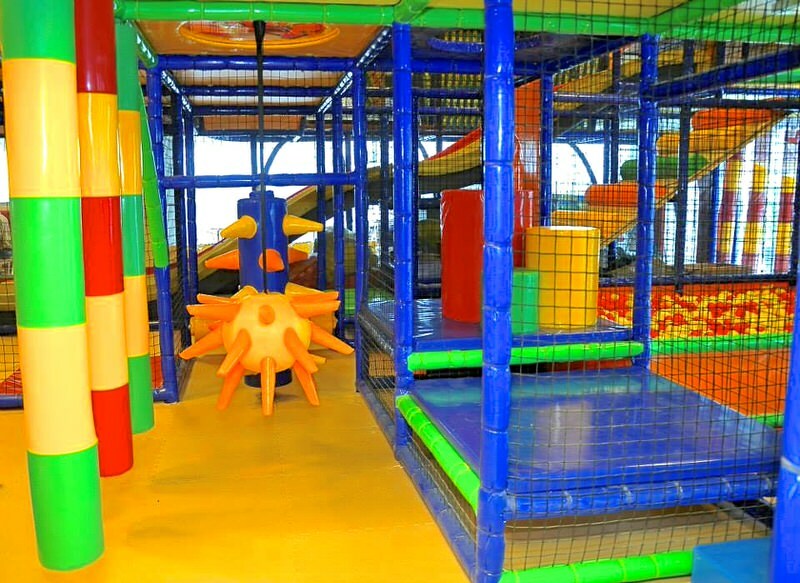 There is a special entry fee for a minimum of 20 children. 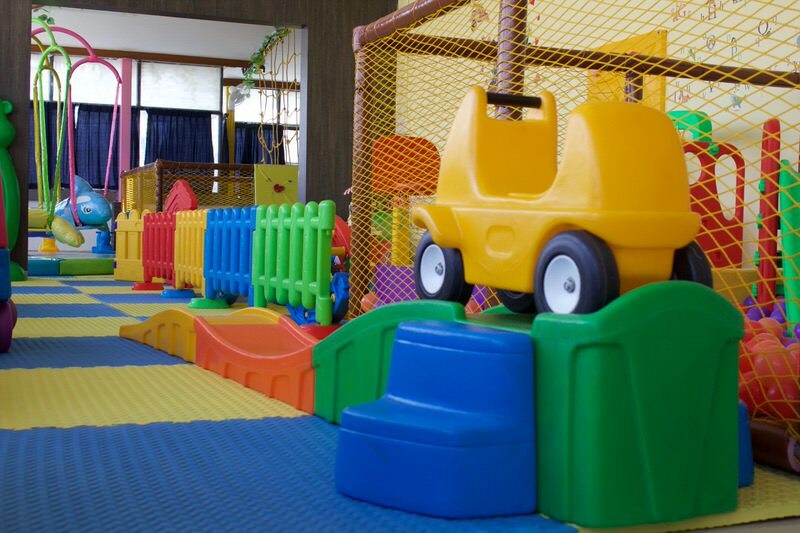 Standard rates will apply for less than 20 children. 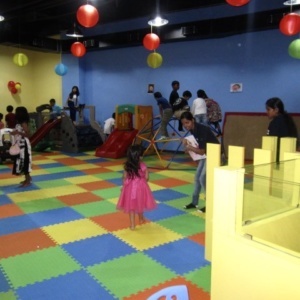 No specific time slot though anytime during the open hours is fine on all working days. 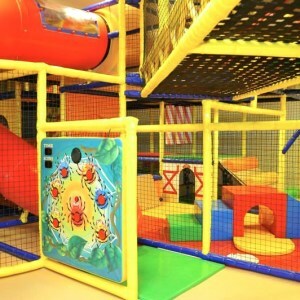 Can accommodate up to 120 kids and adults. 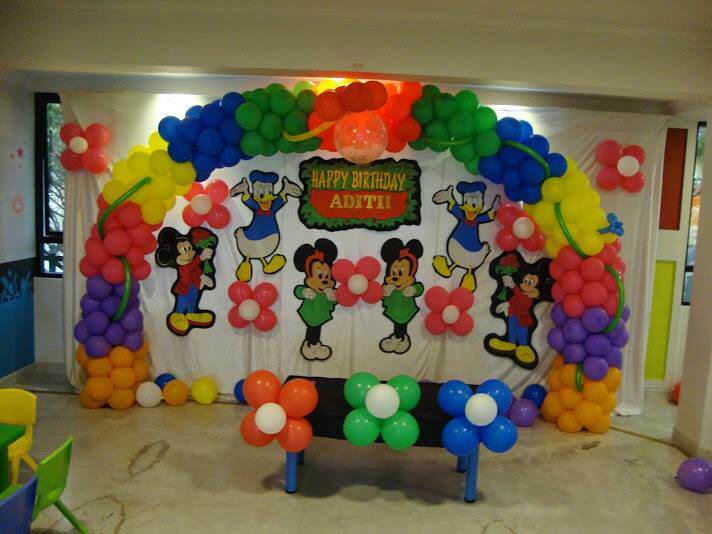 Mini Funky Birthday a minimum of 10 kids is required. 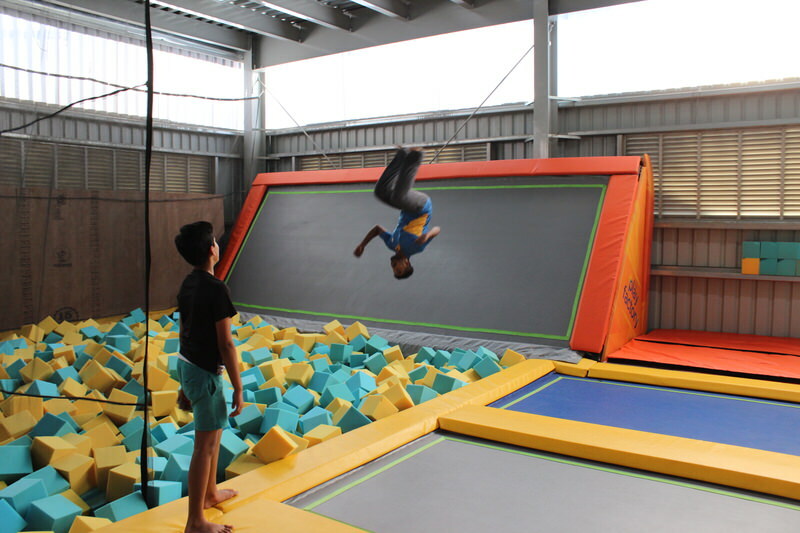 No specific time slot though anytime during the open hours is fine. 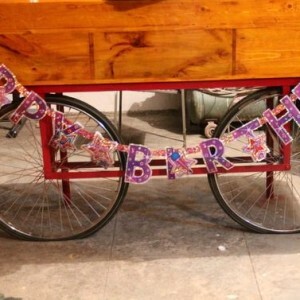 Depends on the package chosen. 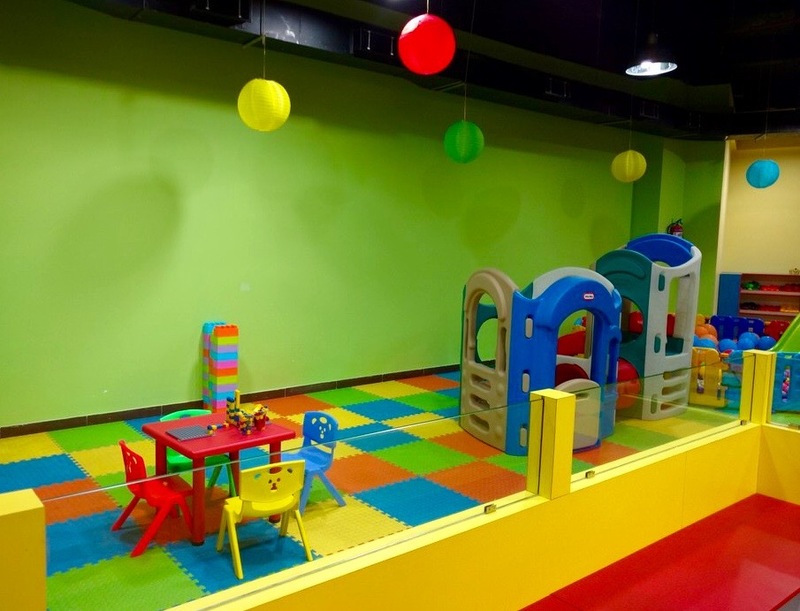 Can accommodate up to 120 kids and adults on both their floors. 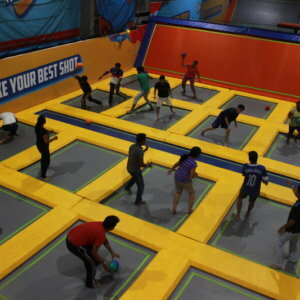 No specific time slot though any 2 hours during the open hours is fine. 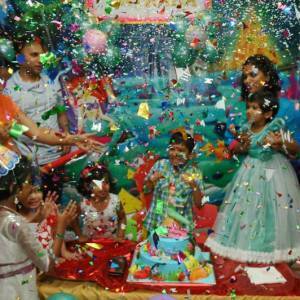 Standard is a 2-hour party, though it could increase depending on the party booked. 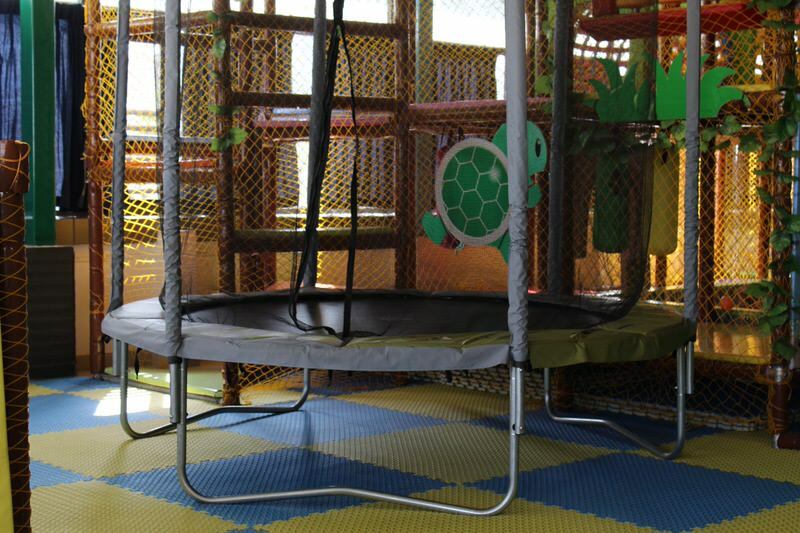 A minimum of 10 children is required. 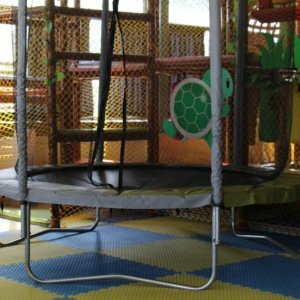 Customer can block any two hours within the time frame upon availability. 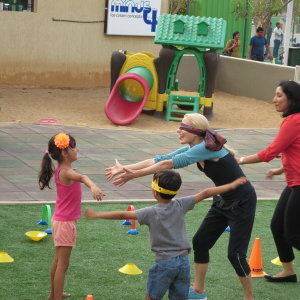 To block the entire outdoor venue a minimum of 10 children is required, i.e. 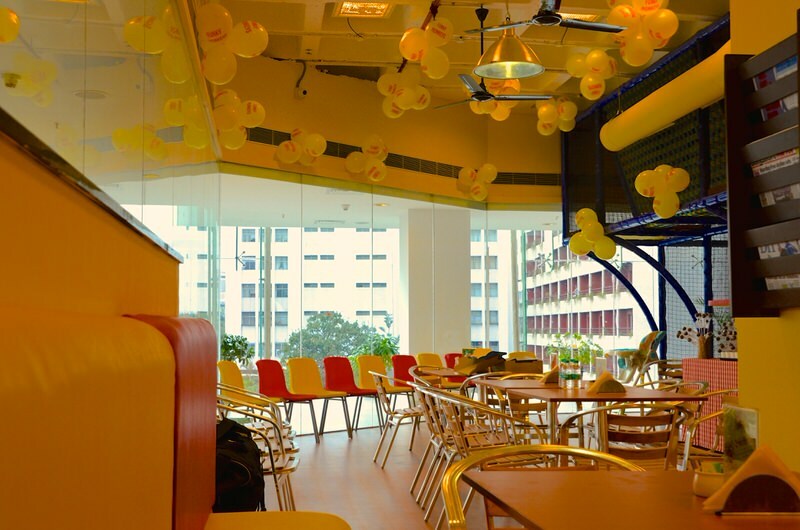 Rs.3000/- will be charged at the very minimum. 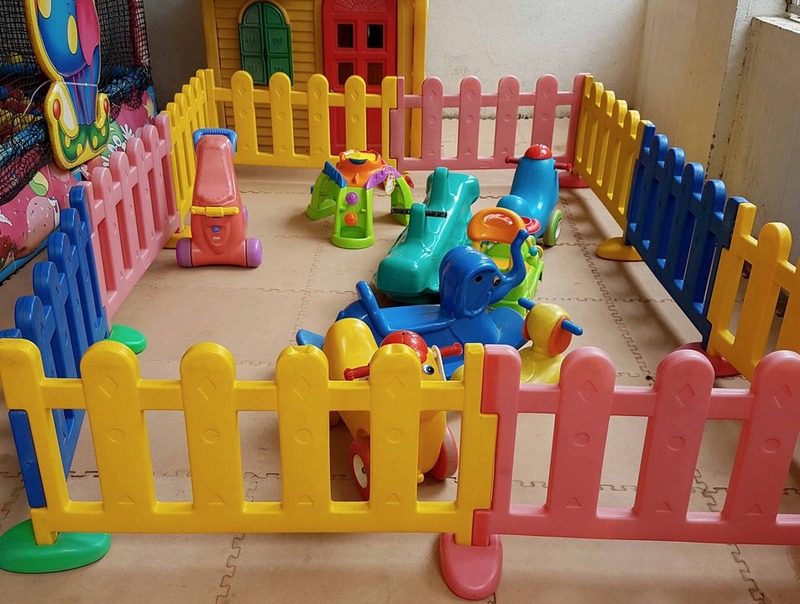 Customer can block any 2 hours within the time frame upon availability. 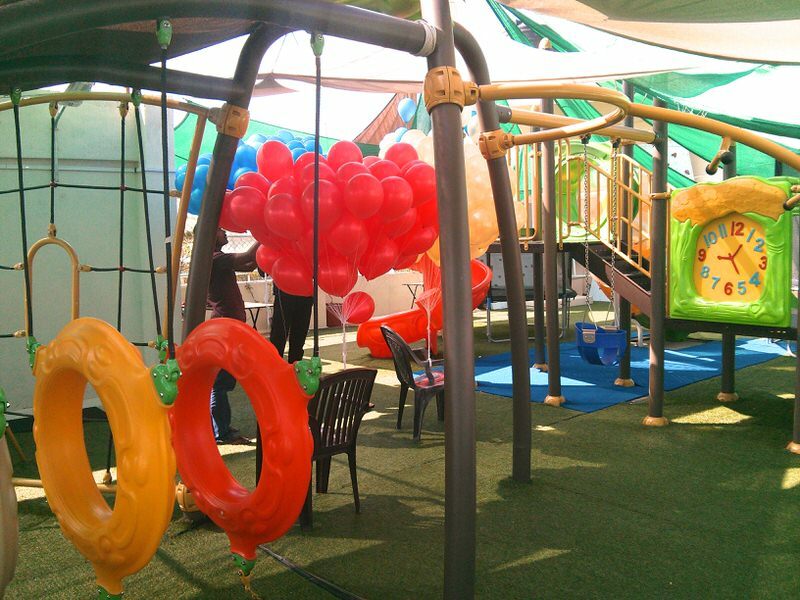 Play area (outdoor) is open for the entire time booked. 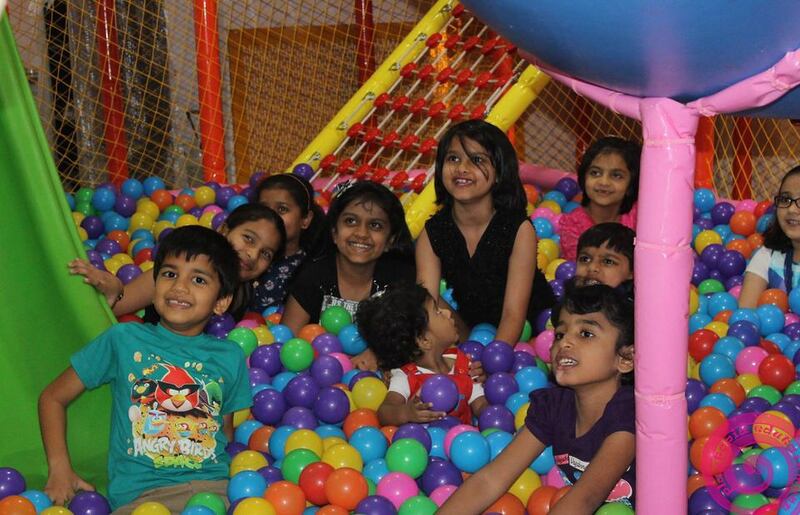 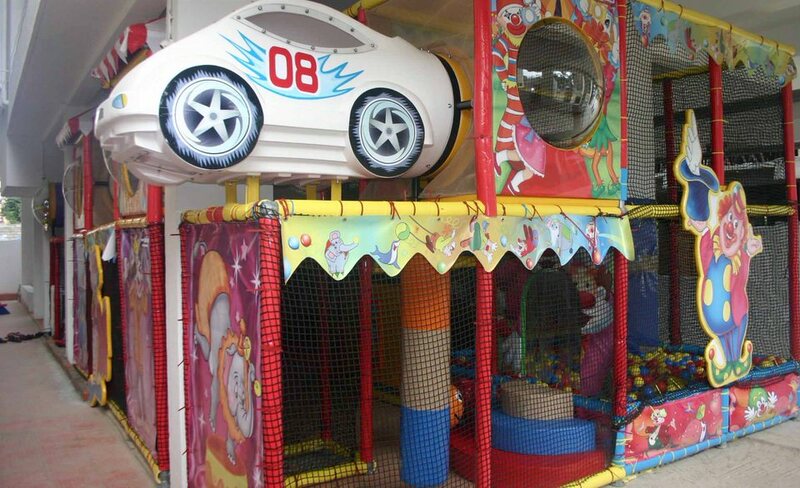 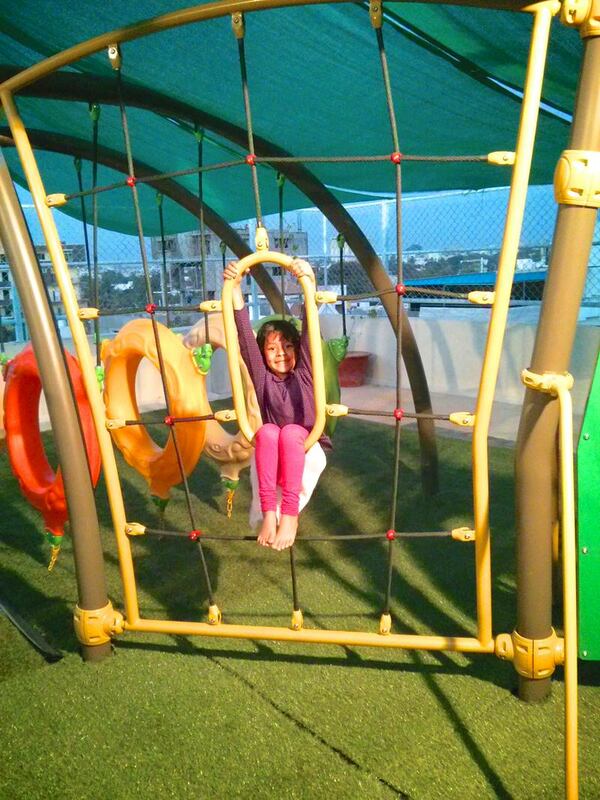 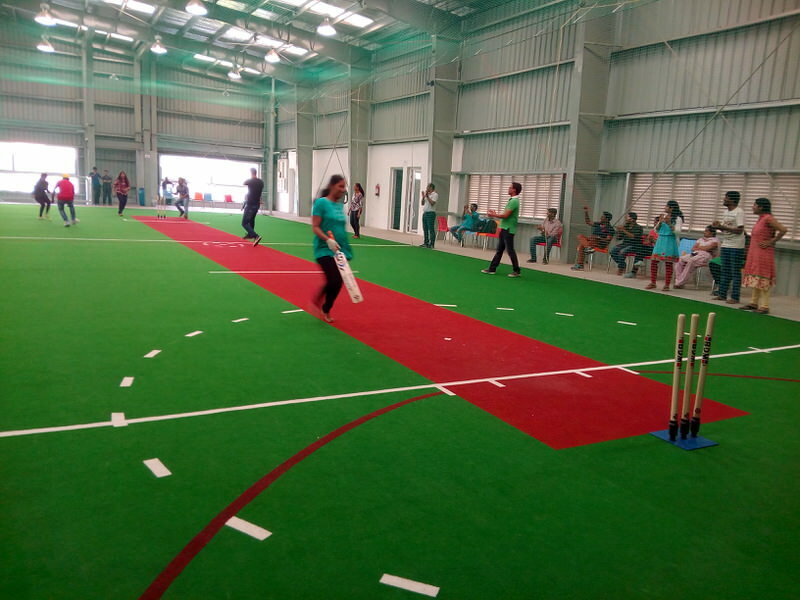 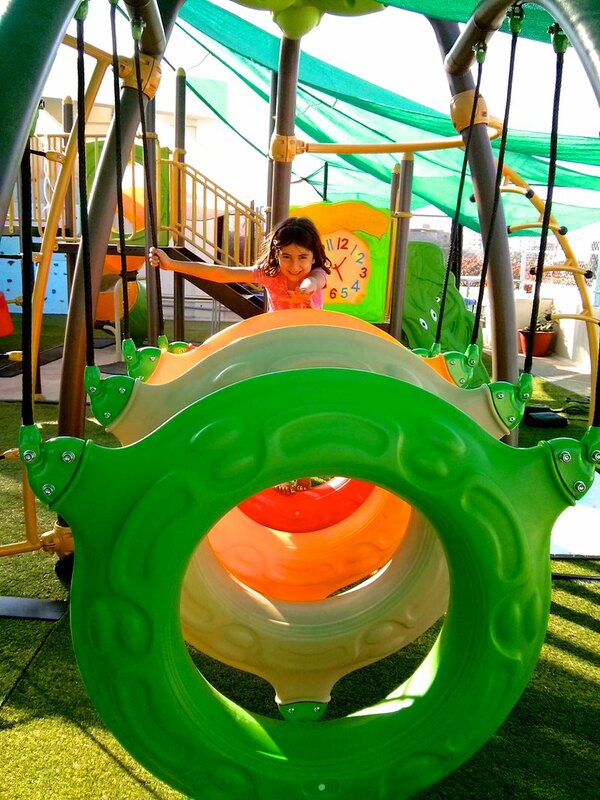 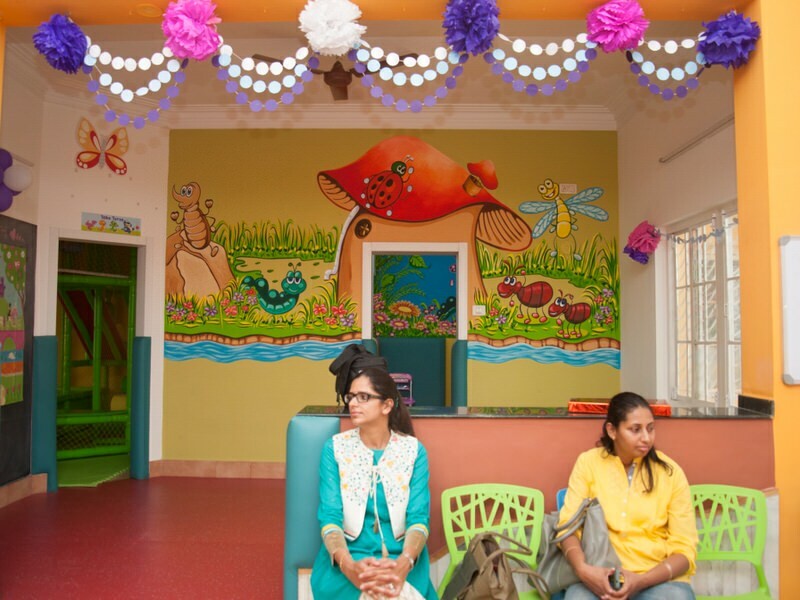 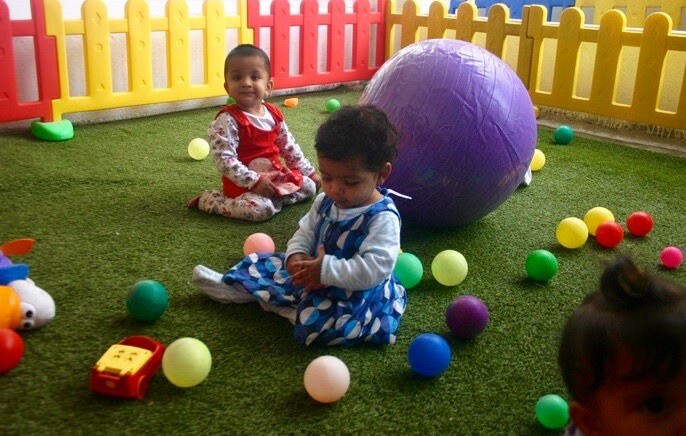 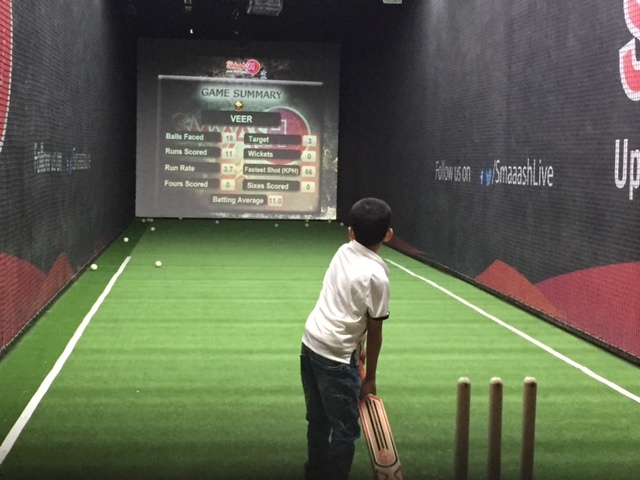 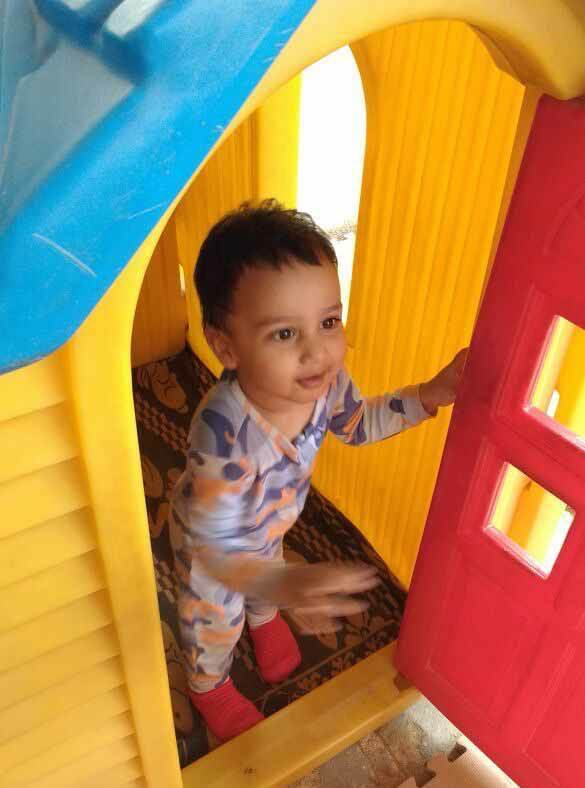 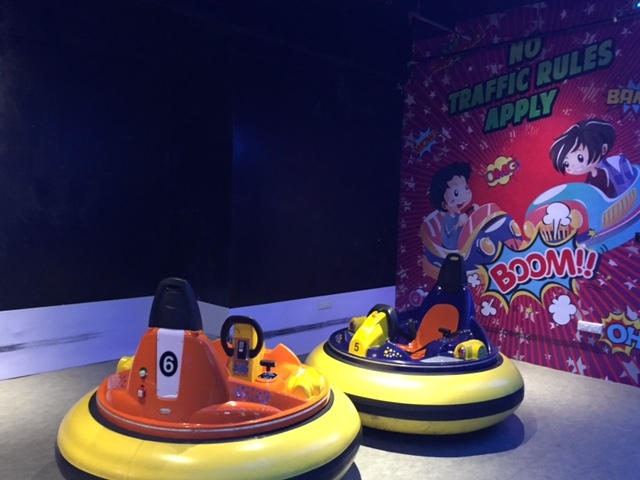 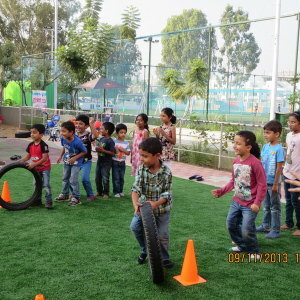 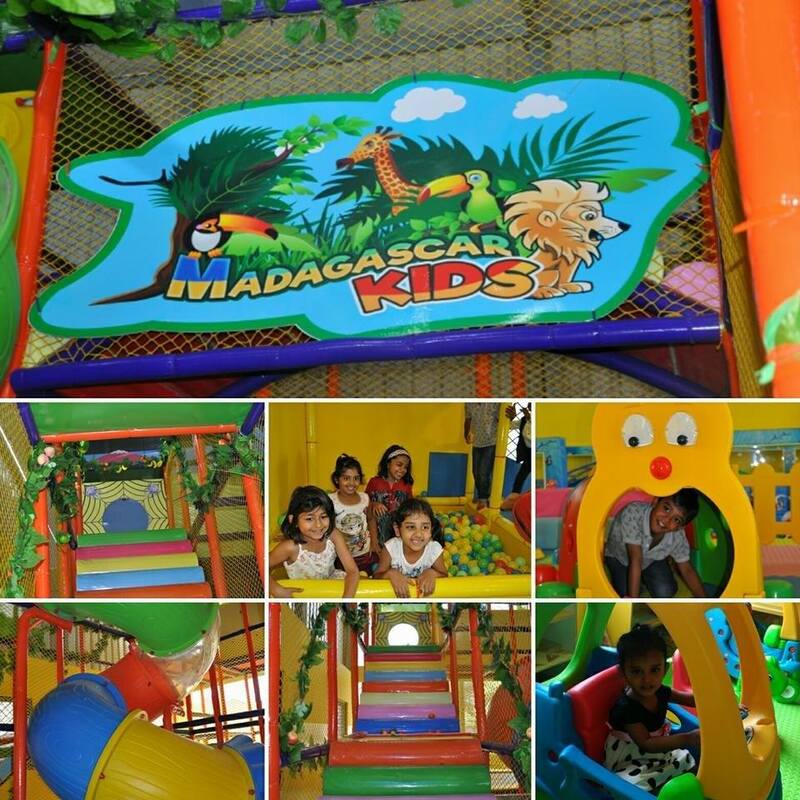 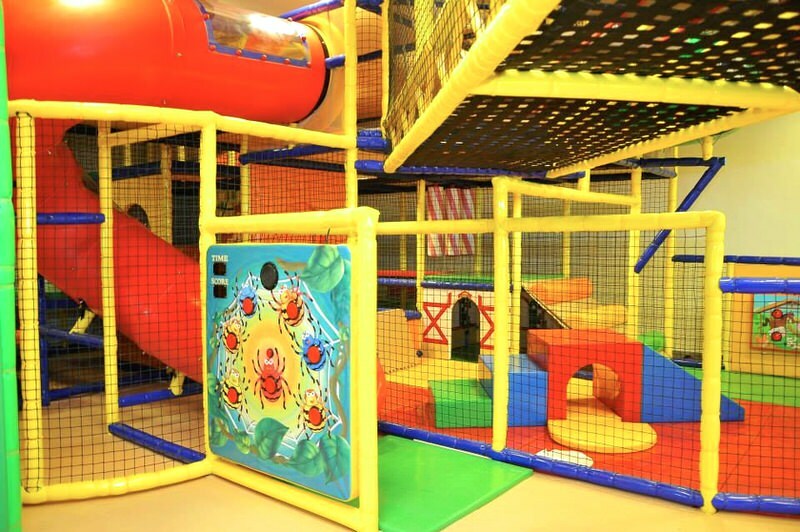 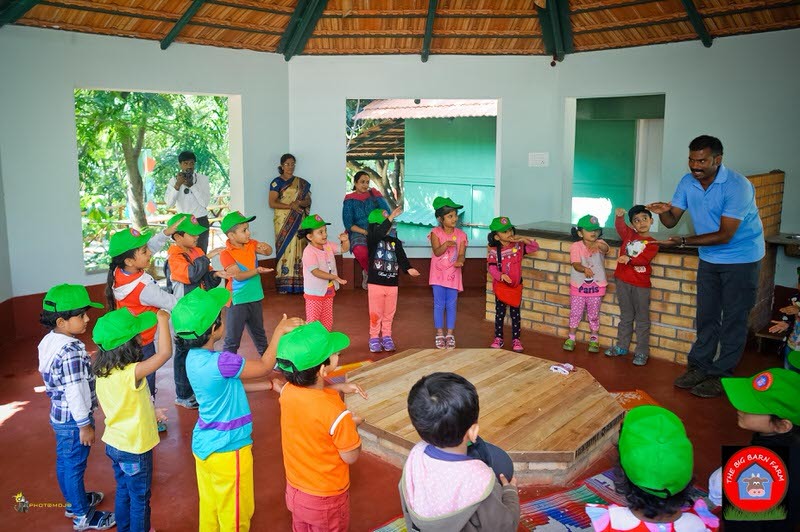 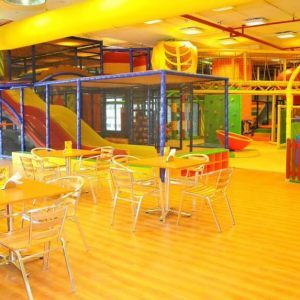 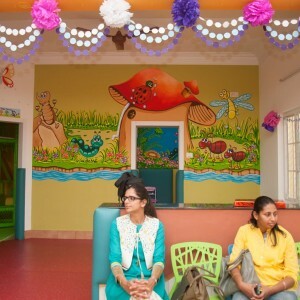 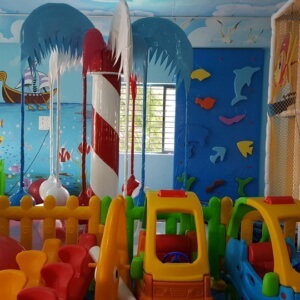 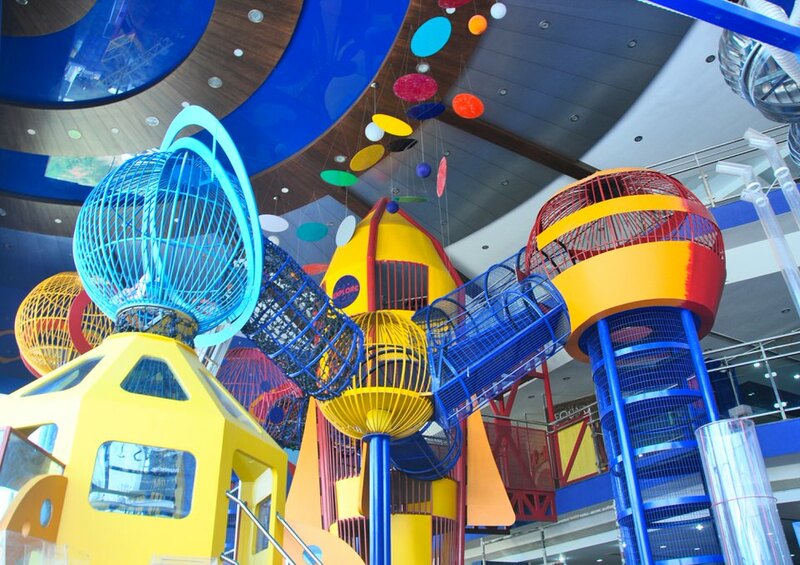 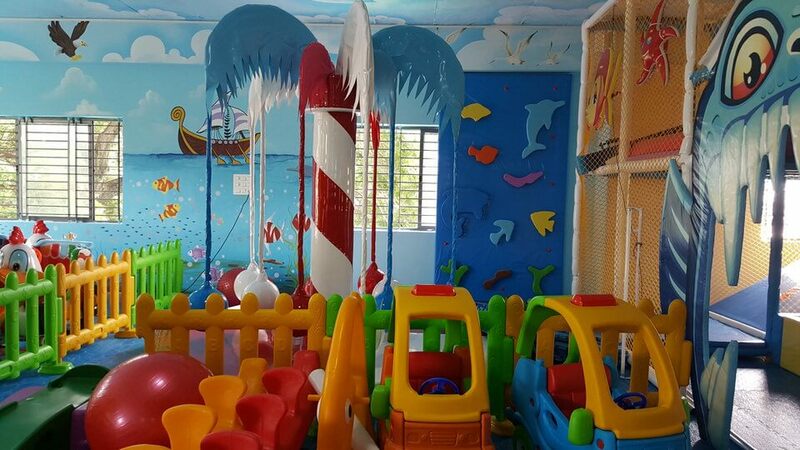 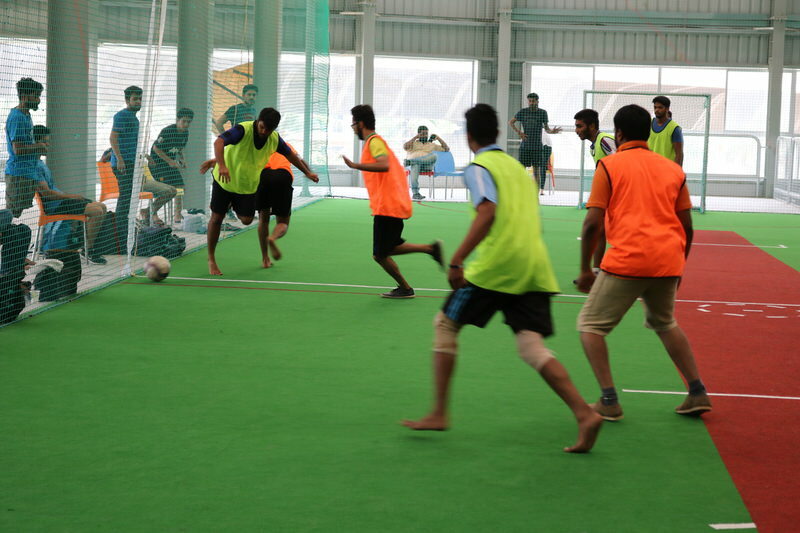 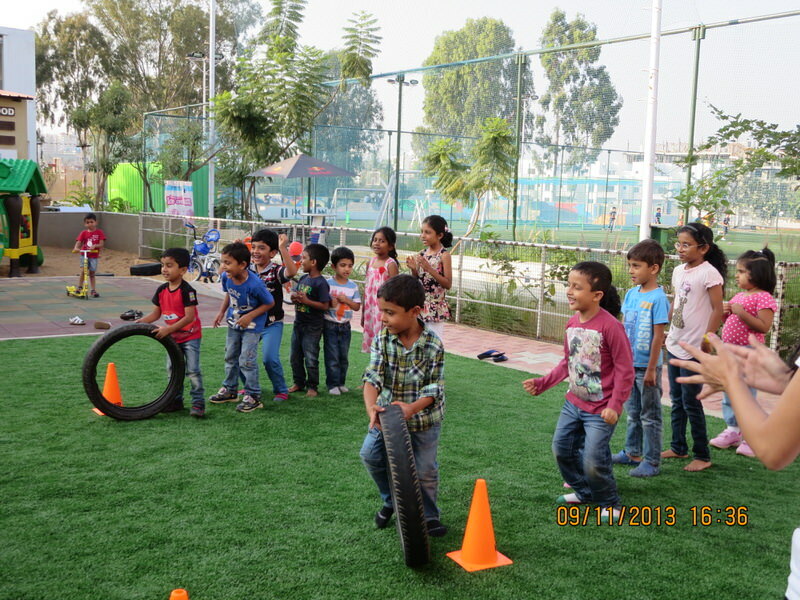 Indoor playarea will be charged at Rs.250/- per hour per child if required. 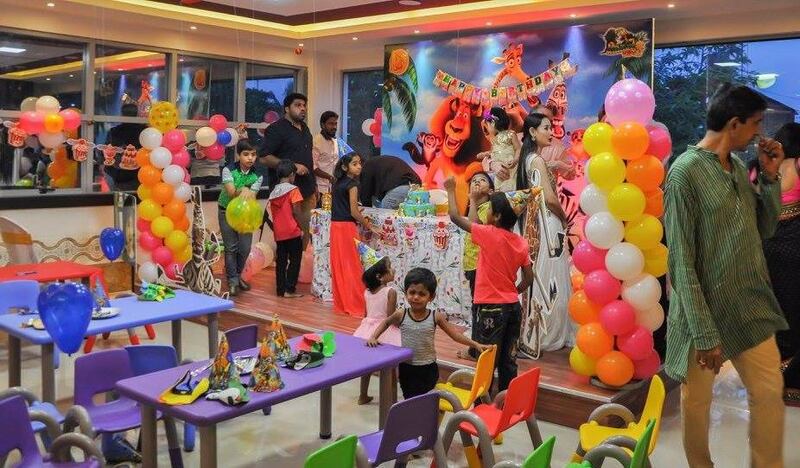 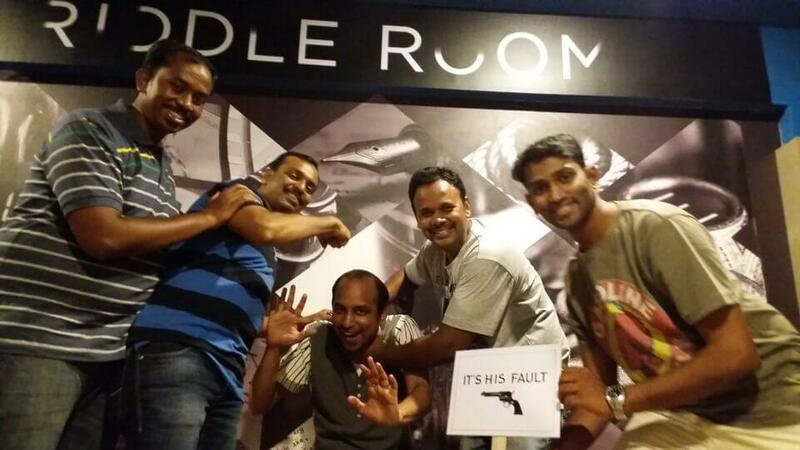 The whole place cannot be booked. 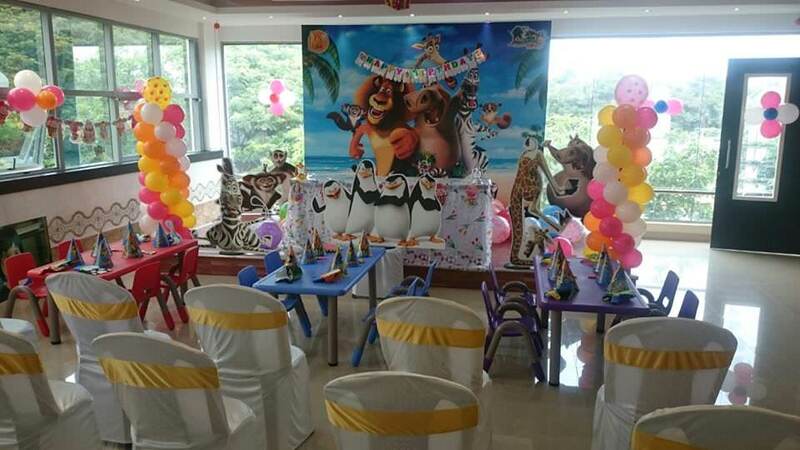 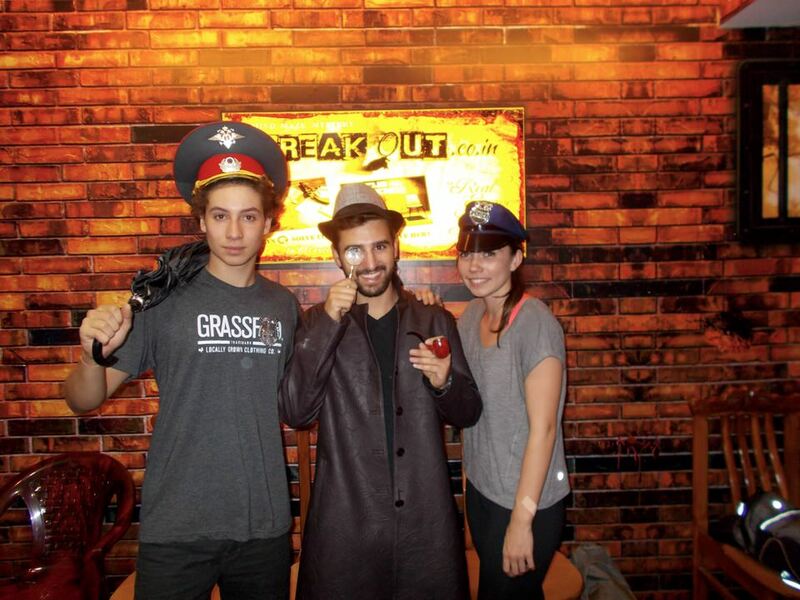 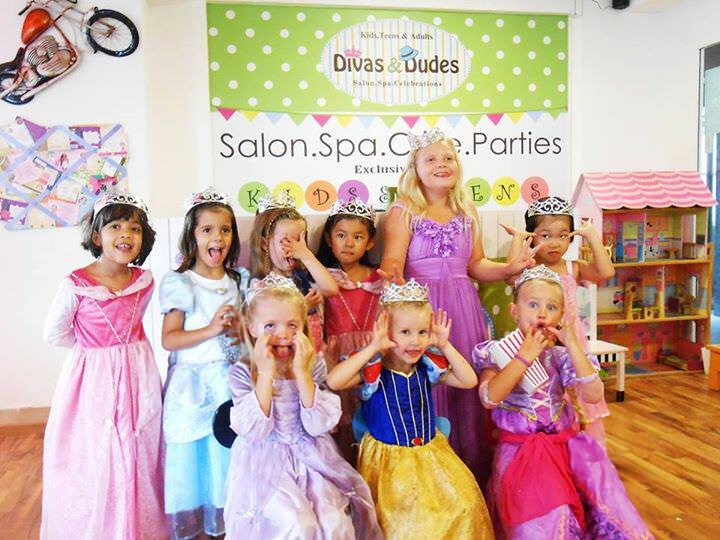 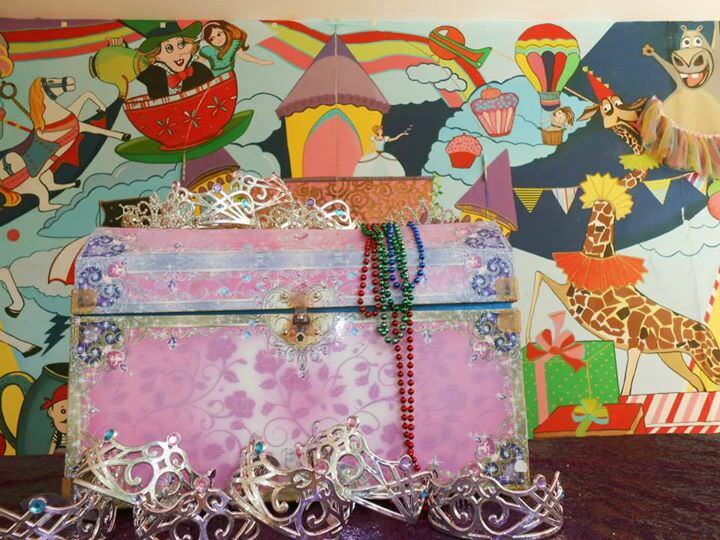 For booking a birthday party banquet hall, a minimum of 15 kids are required. 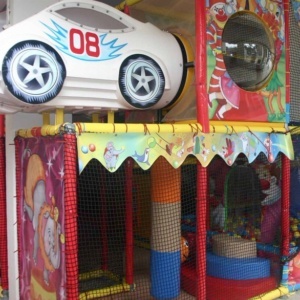 The customer can block any slot within the time frame upon availability. 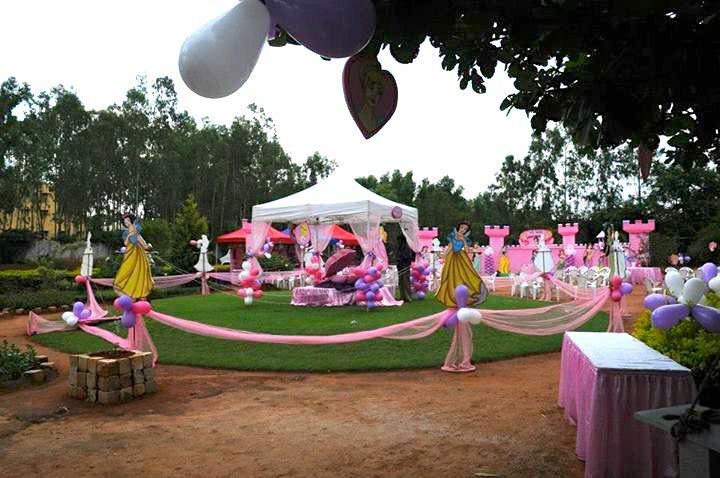 As per the duration of the party booked. 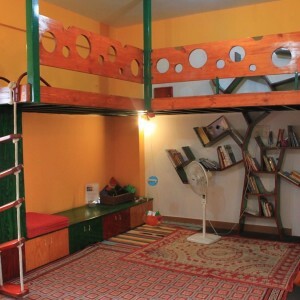 Can accommodate up to 50 people. 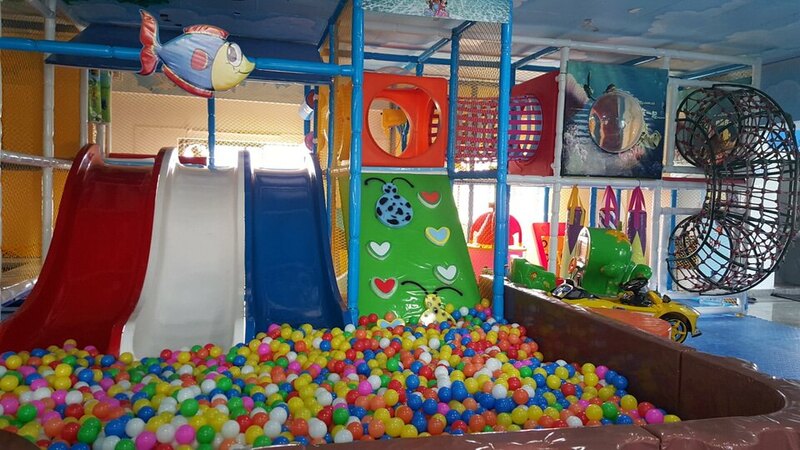 Customer can block any three hours within the time frame upon availability. 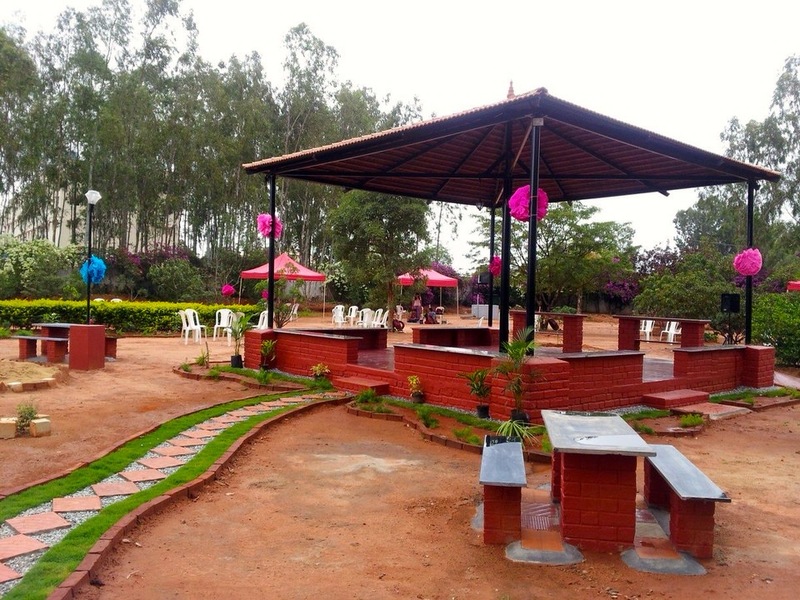 Approximately 4KM from Bannerghatta Circle. 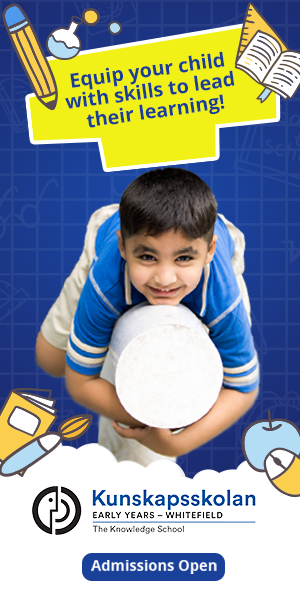 No specific timings anytime from 9:30 am to 5:00 pm. 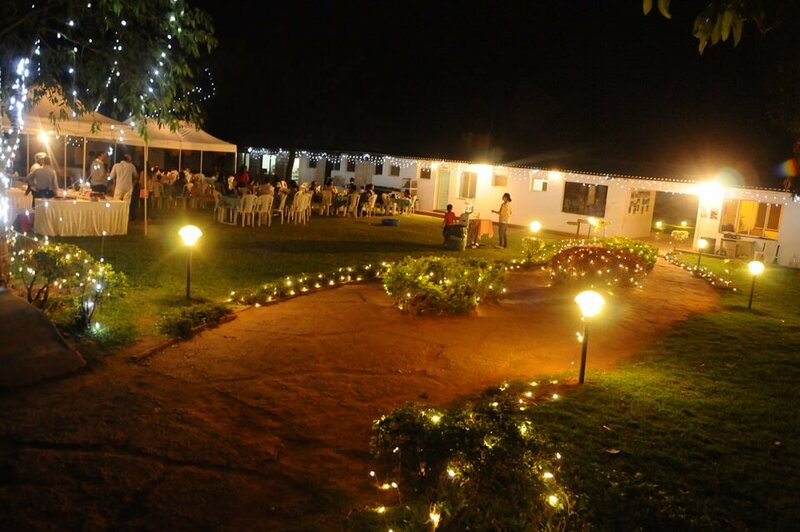 Can accommodate 150 to 200 people in all. 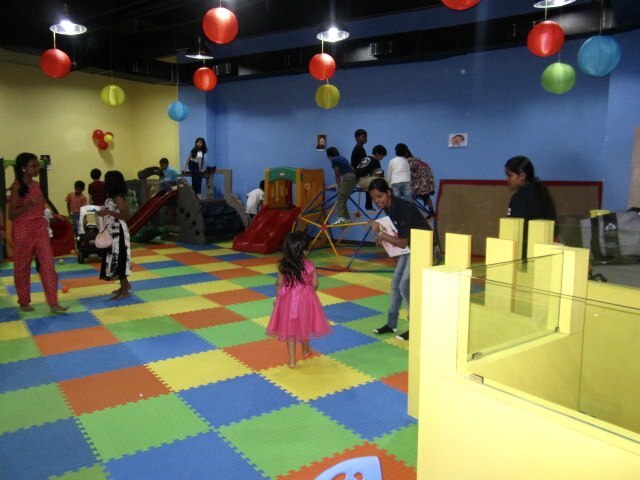 The total area is 4000 sq.ft. 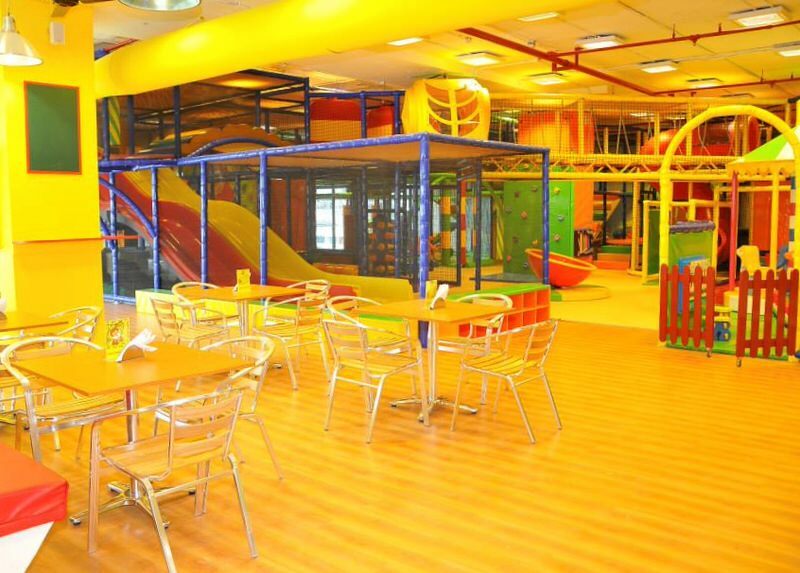 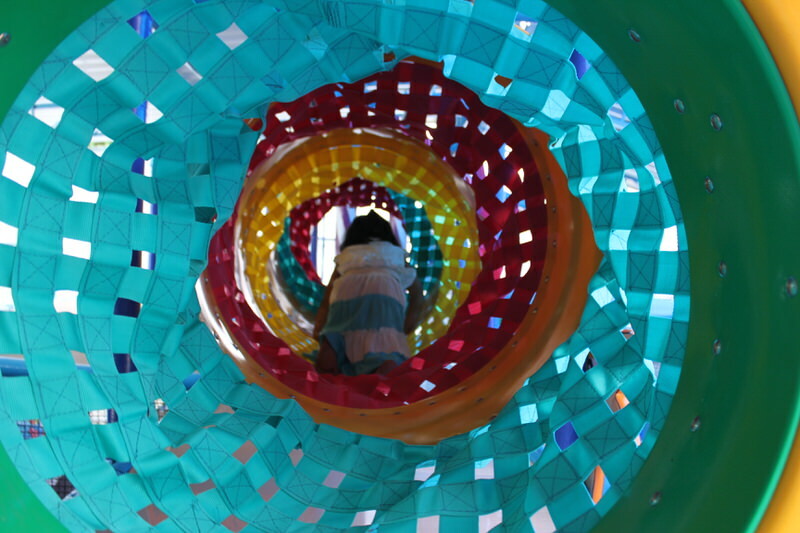 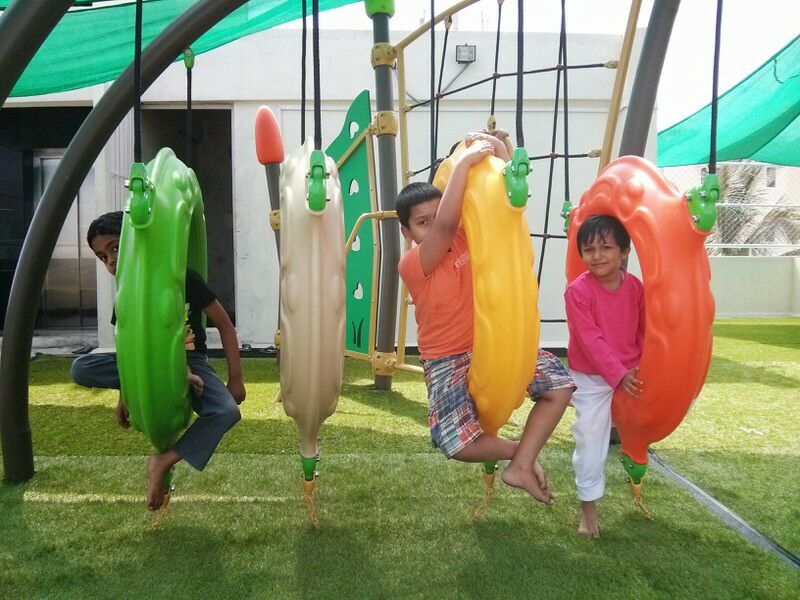 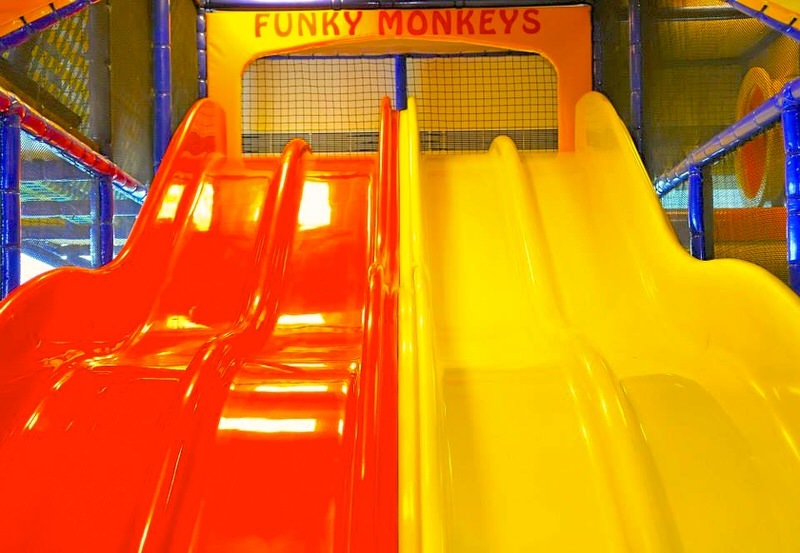 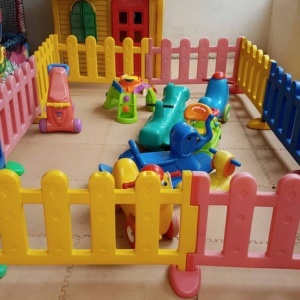 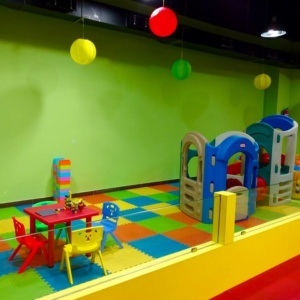 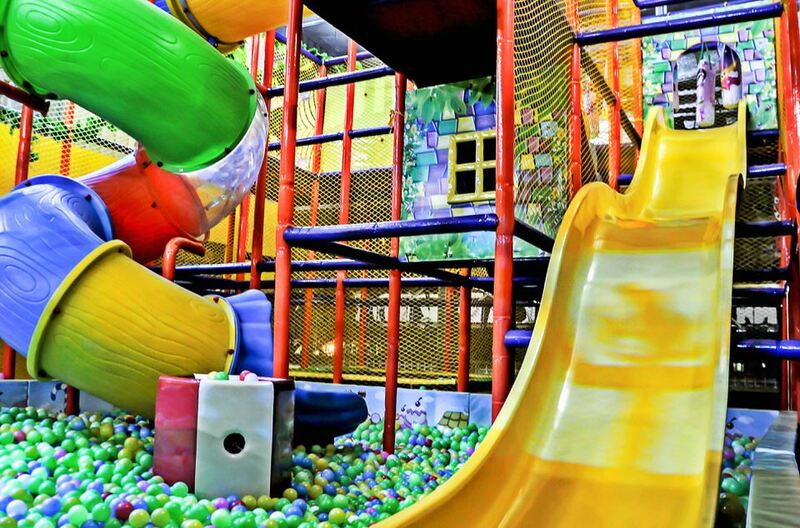 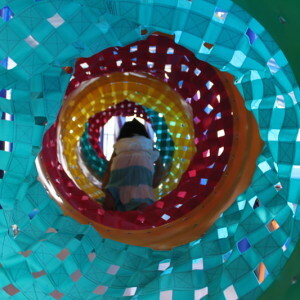 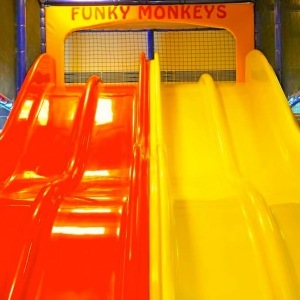 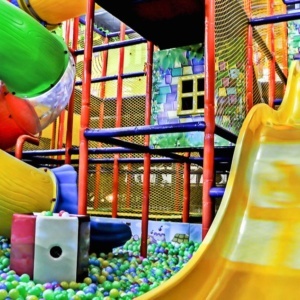 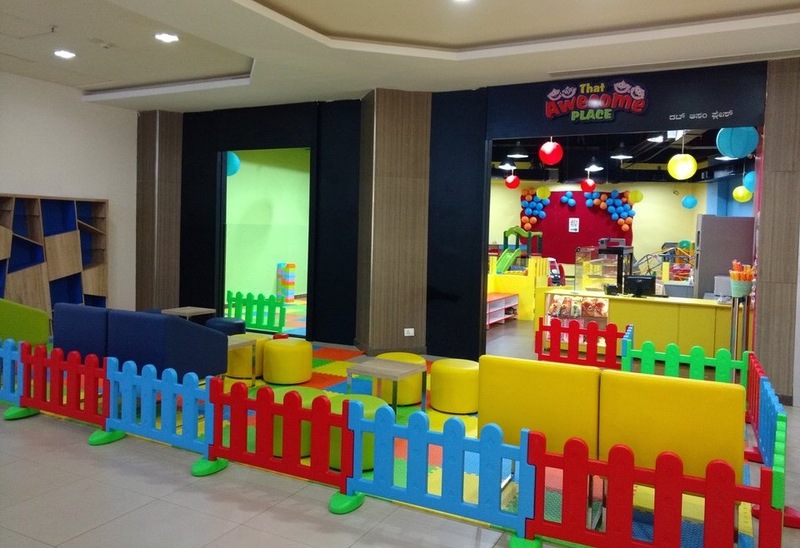 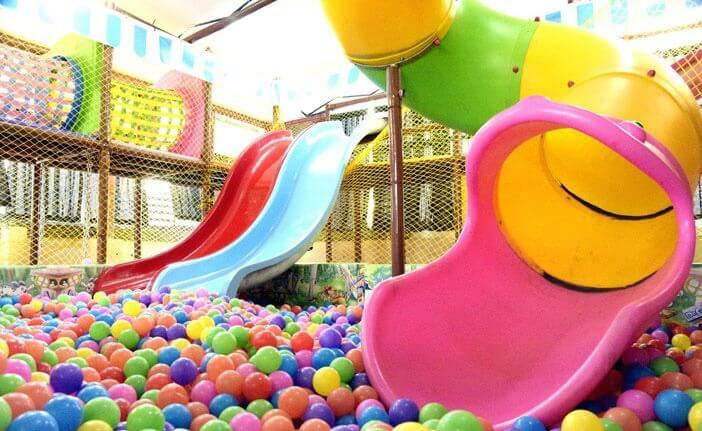 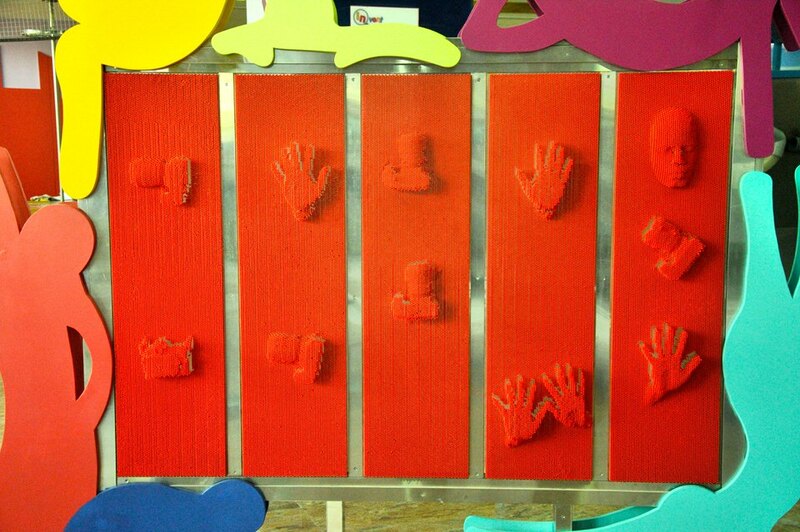 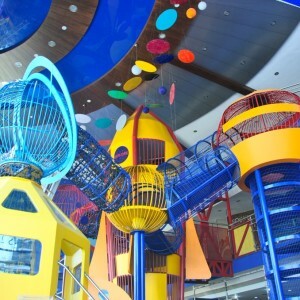 inclusive of a soft play area of 1700 sq.ft. 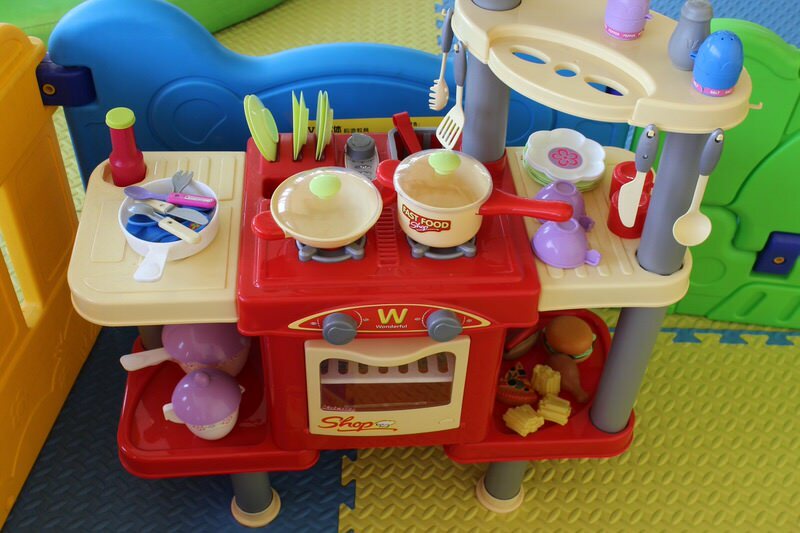 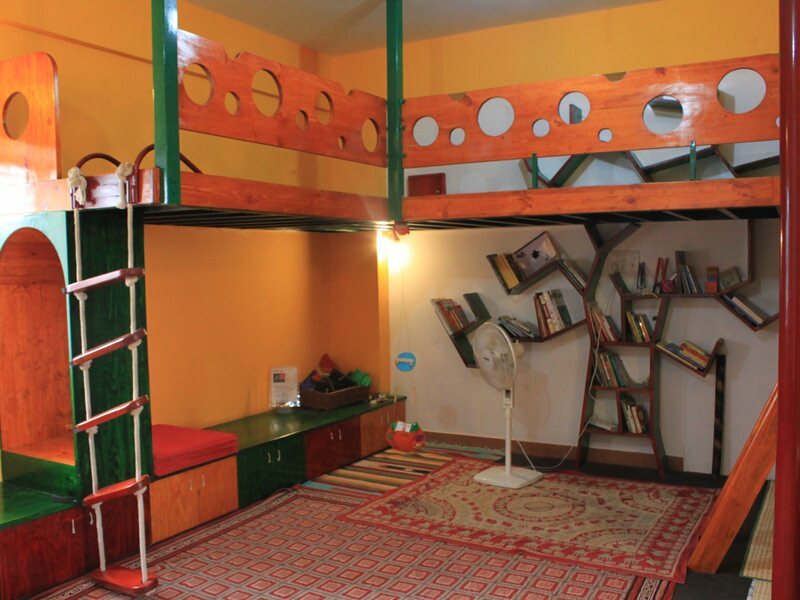 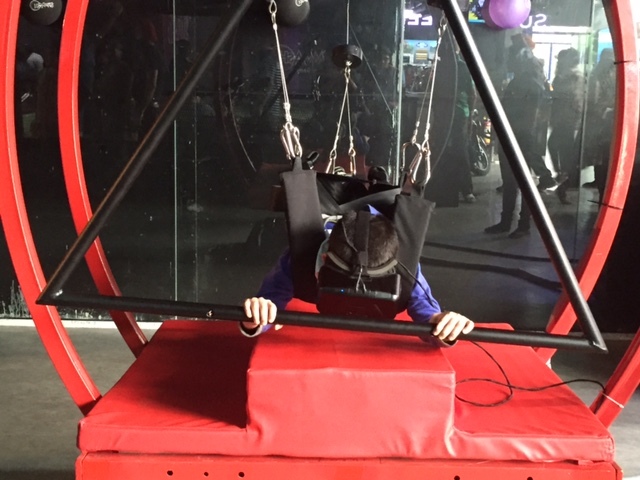 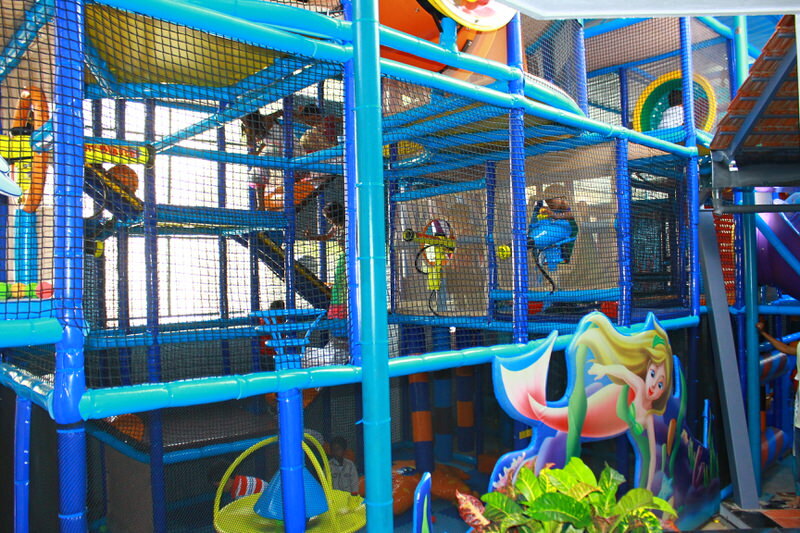 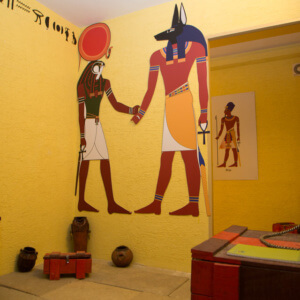 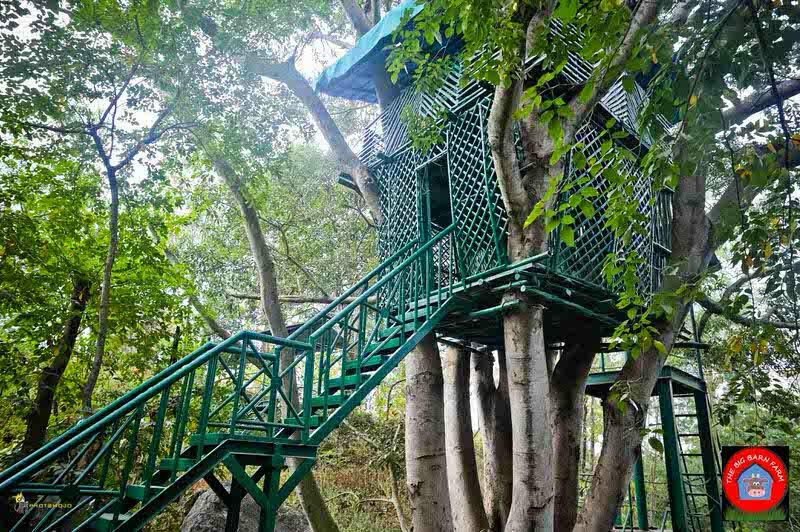 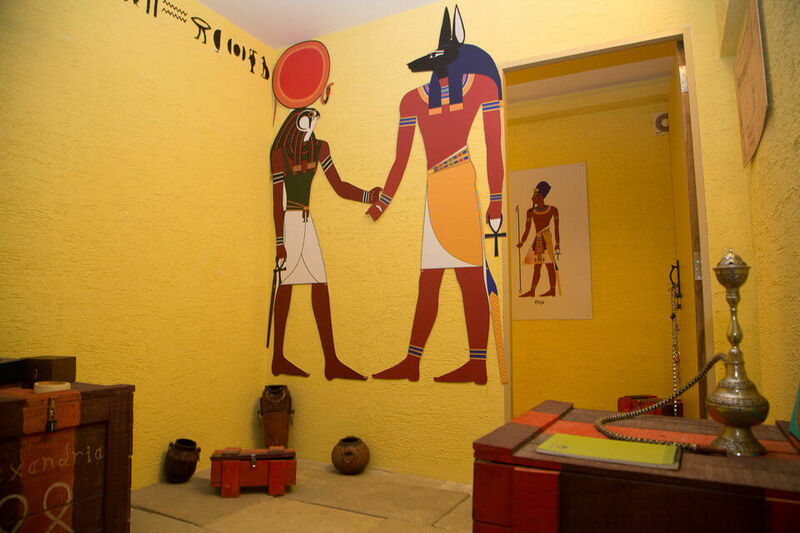 Can accommodate up to 70 kids maximum and 35 to 40 adults. 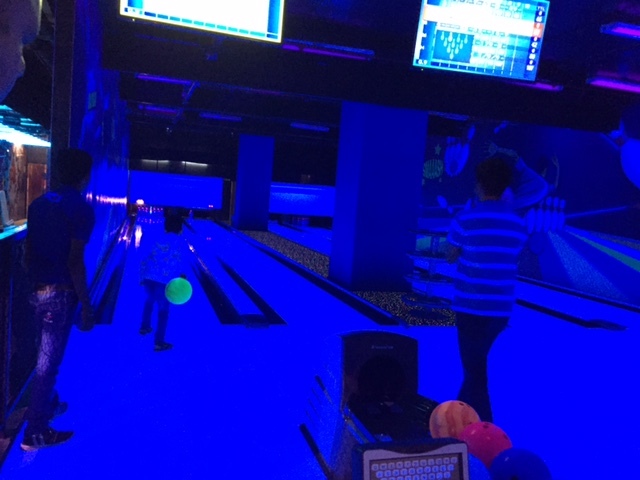 Any 3-hour slots in the day. 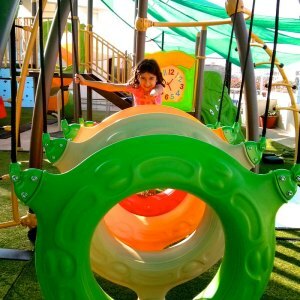 6 tips to help you plan your child’s first playdate!